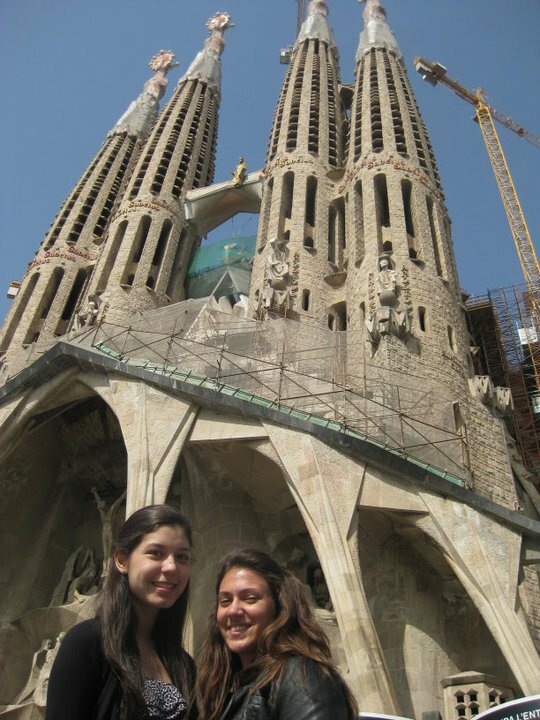 We started in Barcelona on Sunday. 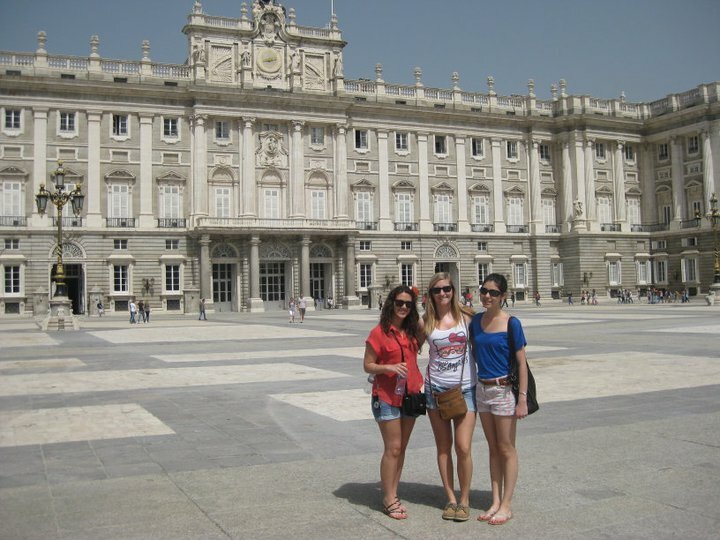 We took a walking tour of the old city, saw the old city walls and looked at a lot of the historical buildings. Barcelona has very narrow streets and it’s pretty easy to get lost if you’re new in town and don’t speak Spanish. 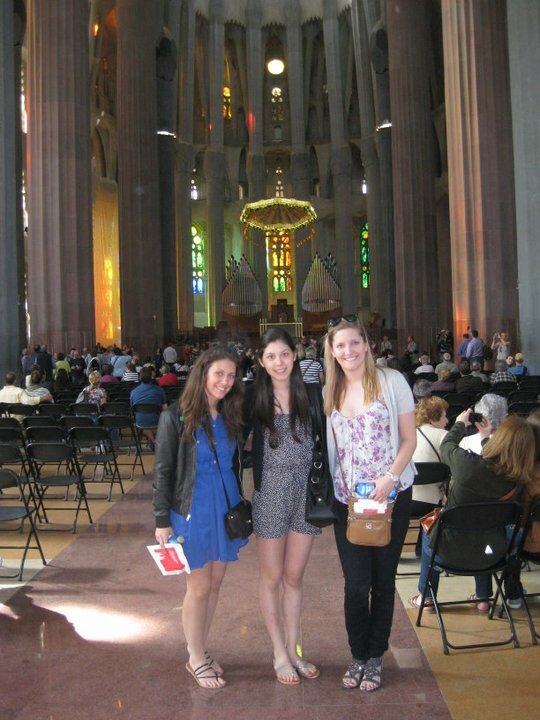 Some of the sites we visited included the Picasso Museum and La Sagrada Familia – the church that architect Gaudi designed that’s taken 125 years to build so far and it’s still incomplete. 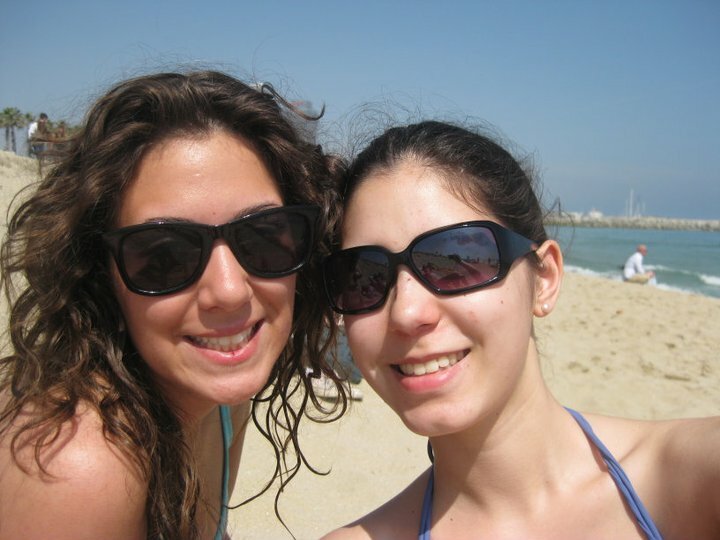 Barcelona is on the coast so I saw the beach for the first time in months. It was so relaxing just to lie on the beach, in the sun. I swear I absorbed more Vitamin D in those few days than I have in the last three months. 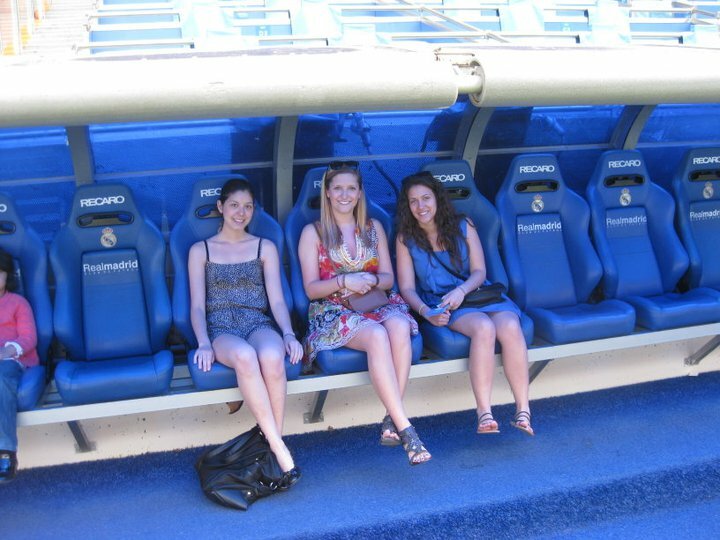 Then we continued on to Madrid, the country’s capital where it was time to live out the ultimate Madrid experience, visiting the Real Madrid stadium, looking at what must’ve been 100’s of trophies and acting like huge football (not soccer) fans. 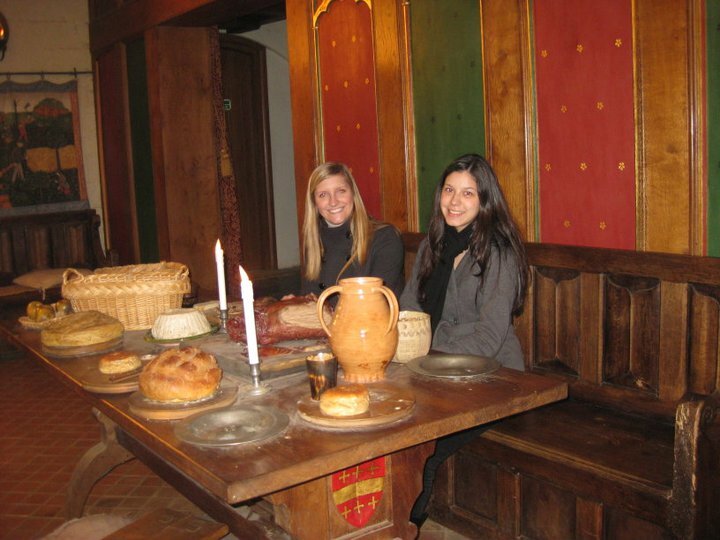 While in Madrid, we visited the Palace and got to walk around inside the dining room, throne room, old pharmacy and armoury. Unfortunately, we weren’t allowed to take photos inside but it was beautiful, take my word for it. 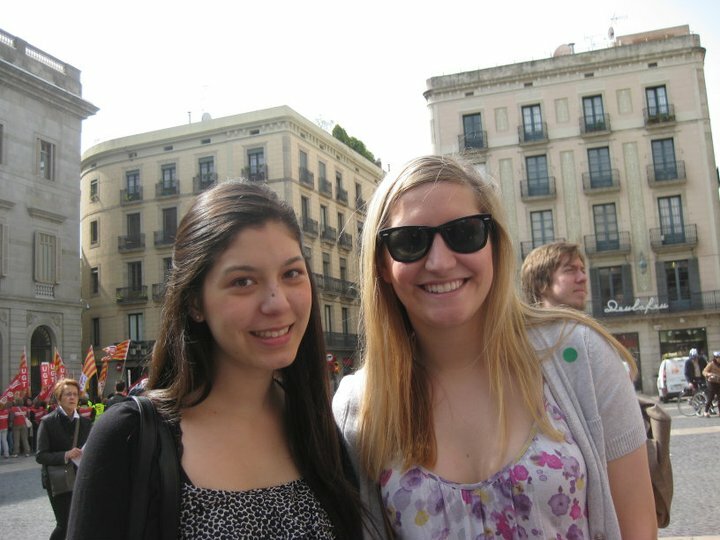 We then went to the Prado Museum where we saw more Picasso and some work from Goya. To be honest, I feel like both artists weren’t quite right in the head but that’s just my personal interpretation. 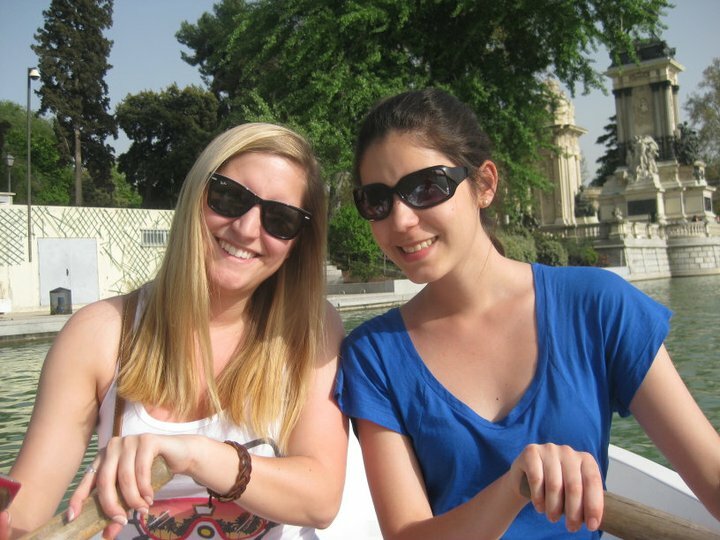 We also went to the amazing botanical gardens that had a huge man-made lake where you could canoe. It was just perfect and the weather was gorgeous! 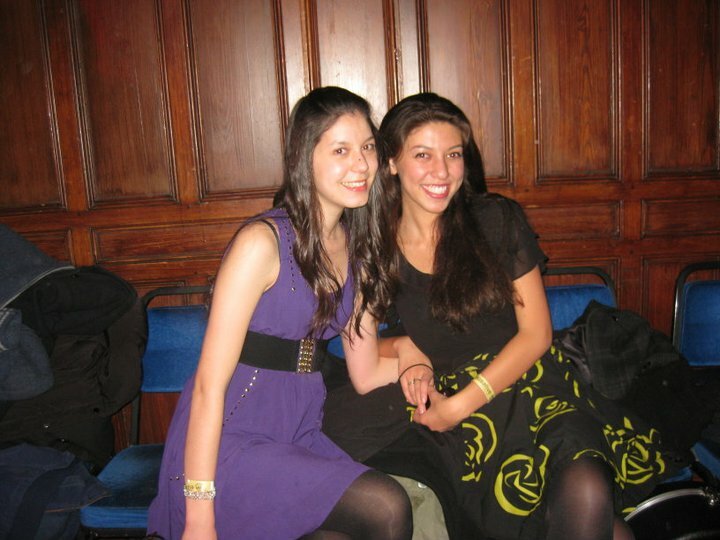 We also went to a flamenco show. 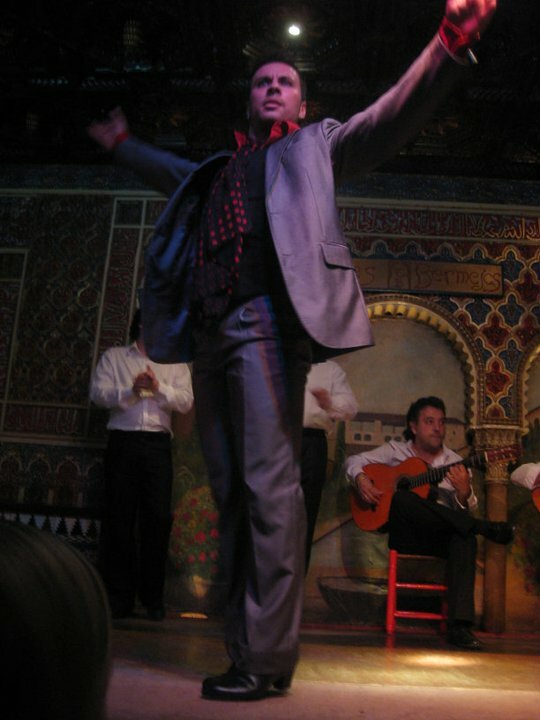 The foot stomping and skirt twirling was so entertaining but our favourite part had to be the “flamenco face” – this stern expression that makes the dancers all look stressed or in pain. As the audience, it was hard not to have a little giggle. So that was Spain! 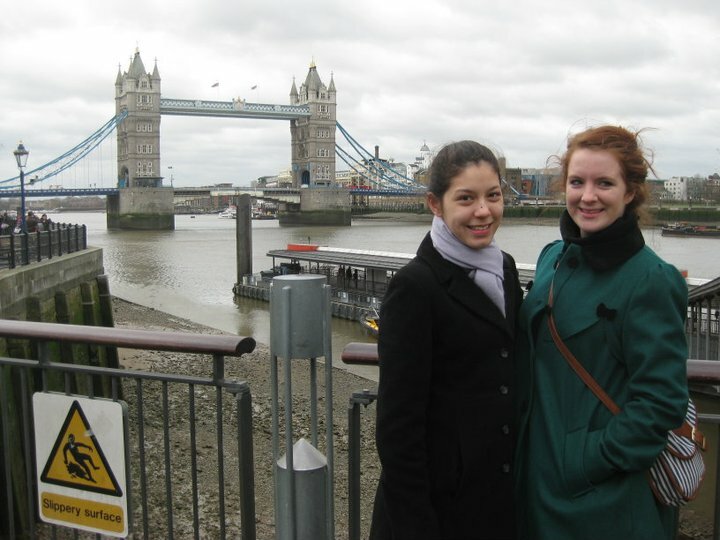 We flew back into London so I spent a few days with my lovely QUT friend Kim who graduated last year. 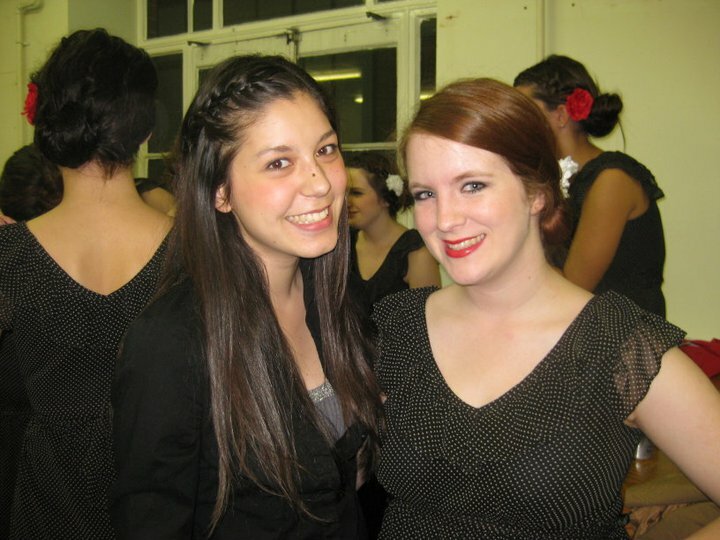 She’s now living and working in London and I hope that maybe that’ll be me in a few years! In two days I leave for Greece where I’ll be visiting lots of cousins, aunts and uncles who I haven’t seen in 12 years! I’m so excited to visit them all. Then Georgia and I are off to Turkey for ANZAC Day! I honestly can’t wait and I feel like this is going to be a once in a lifetime experience. This week was our last week of classes before the month long Easter Holidays! It’s been another busy few days but the holidays are now here!! 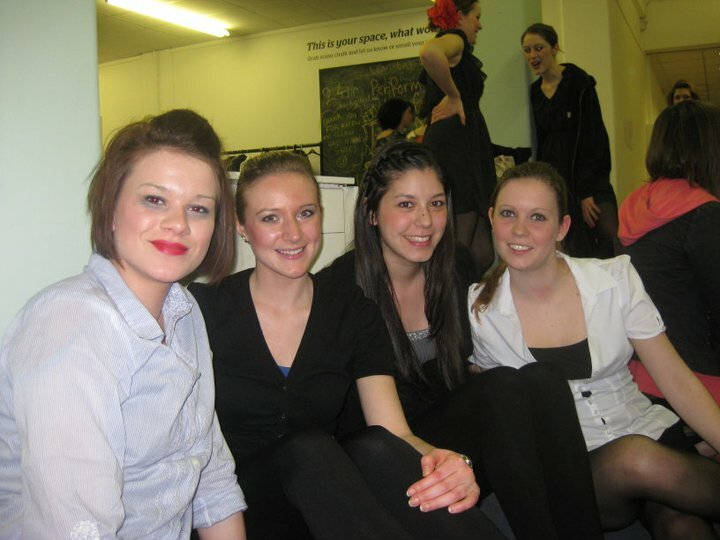 This week was the Leeds University Union (LUU) Dance Show. 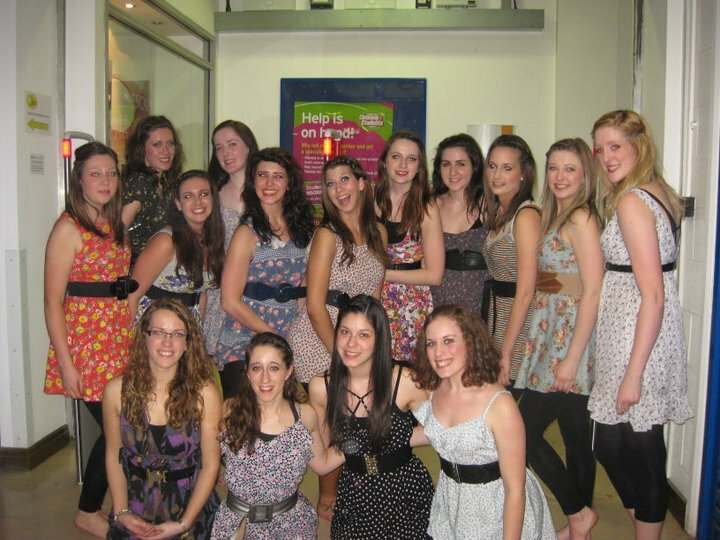 The concert involved performances from all of the dance societies at the uni from ballet to breakdance. I performed in Jazz and Contemporary and it was so much fun. It ran for four nights and it sold out every night. In total, 1200 tickets were sold! Below are some photos from backstage. 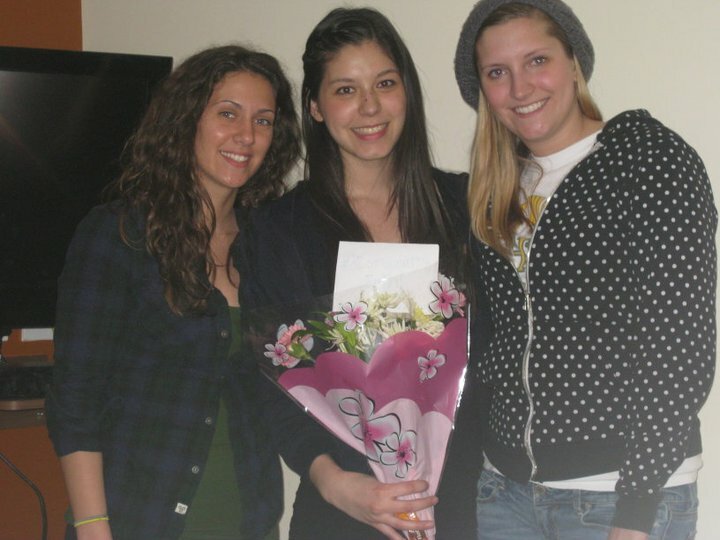 On the final night, my amazing hallmates, Malorie and Christina, gave me flowers! 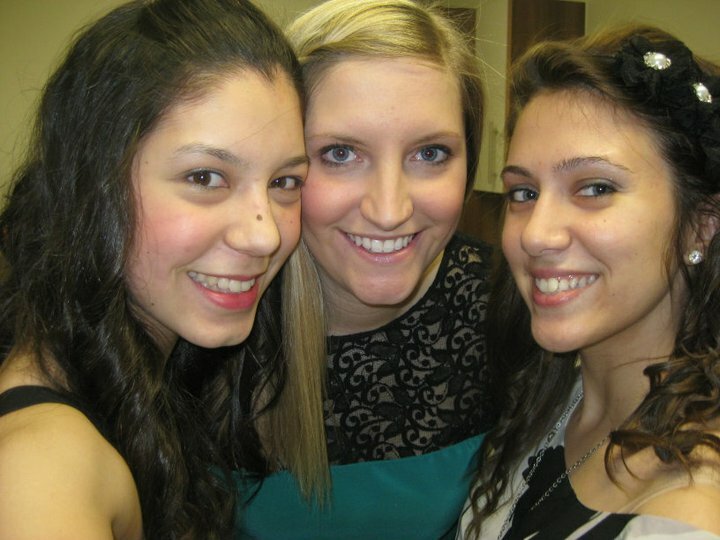 What gorgeous girls!!! 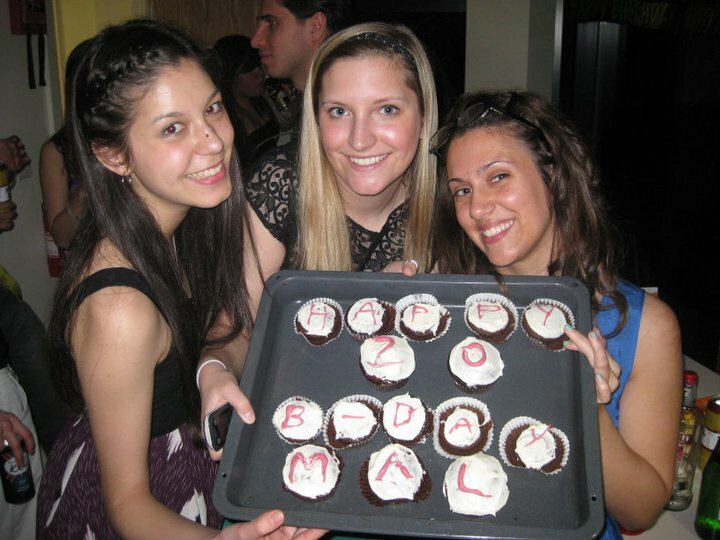 Yesterday night was Malorie’s 20th Birthday. 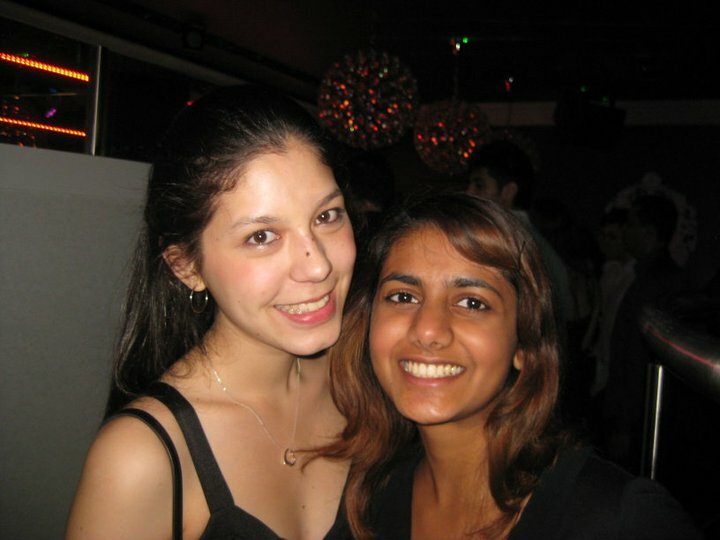 In honour of her American heritage, the theme was frat party and everyone had a great night. 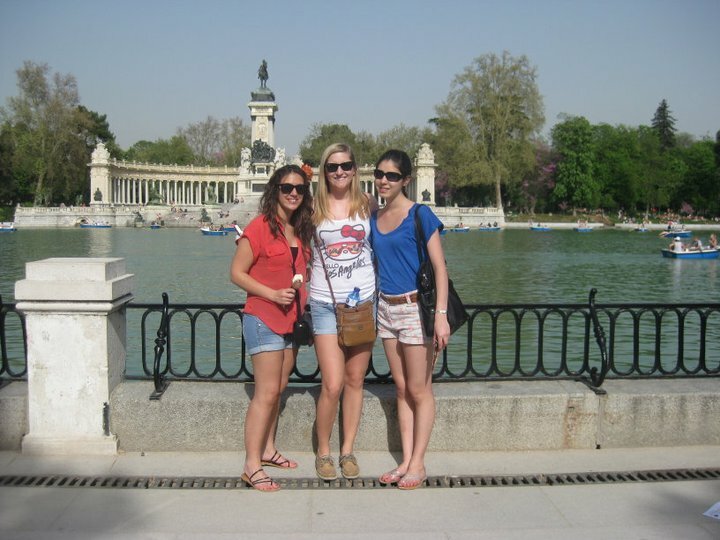 Today we’re off to Spain!! We’ll be starting in Barcelona and then making our way to Madrid. I’ve never been to Spain so I’m really excited. It’ll be my first Ryanair experience and I’ve heard some horror stories. Ryanair make Tiger Airlines seem like a luxury carrier according to some accounts… but hopefully everything will be fine. So, till next time, adios! Is that not the perfect Shakespeare quote for my blog title – WIN! 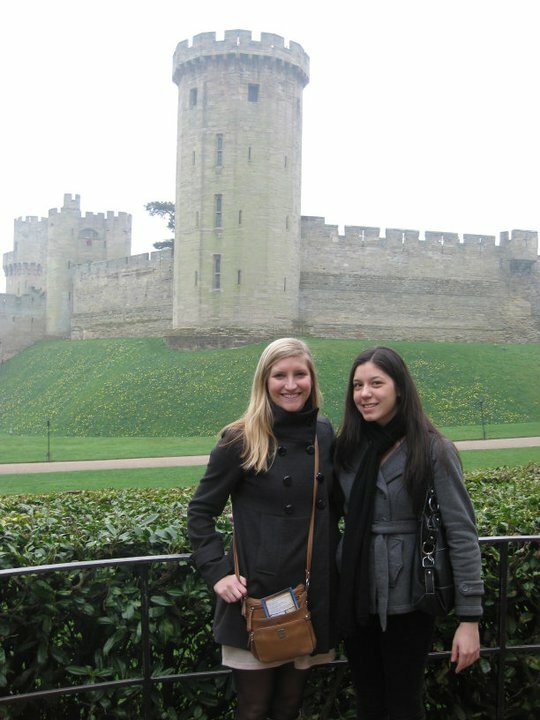 This weekend Malorie and I set off on a whirlwind adventure to Warwick, Stratford-Upon-Avon and Oxford. Despite the early start, we set off in full spirits on Saturday morning. Warwick is this gorgeous little typical British town. 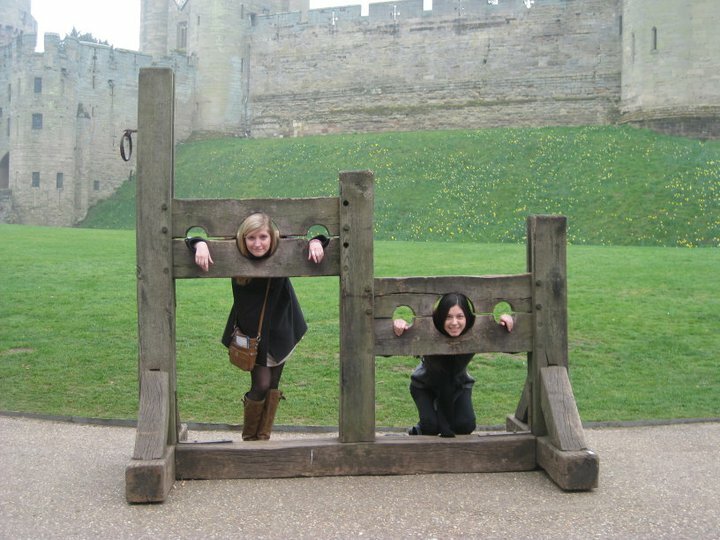 It’s most well-known for Warwick Castle, the prettiest and best maintained castle I’ve seen over here. 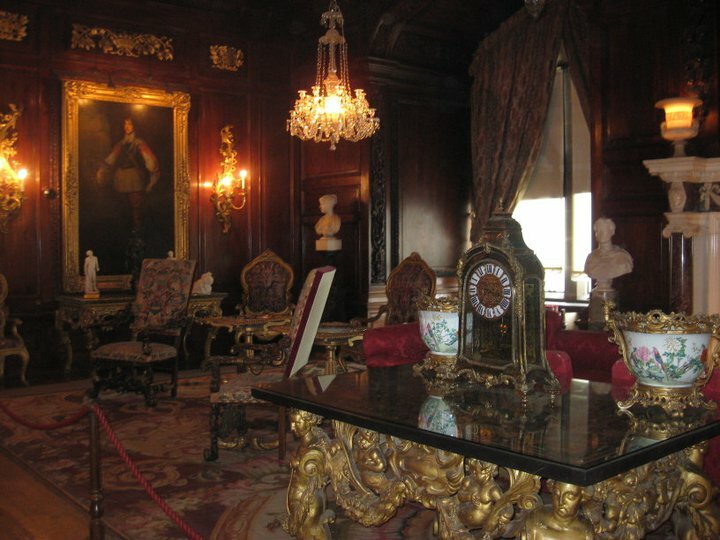 All the rooms were fully furnished with wax figures (that looked a little too realistic) and there were period actors everywhere. I feel like visiting Warwick Castle is their school excursion equivalent of us going to a museum or the botanical gardens. It was so gorgeous and I’m jealous that I didn’t get to visit a castle when I was growing up. After spending a few hours being entertained and climbing up two of the castle towers we headed to St Mary’s Church, where all the Earls of Warwick are buried. We also went down into the crypt and climbed up the tower. I’m going to be having nightmares about stone spiral staircases for weeks! Warwick is just such a lovely place and our B&B owners were too cute for words. 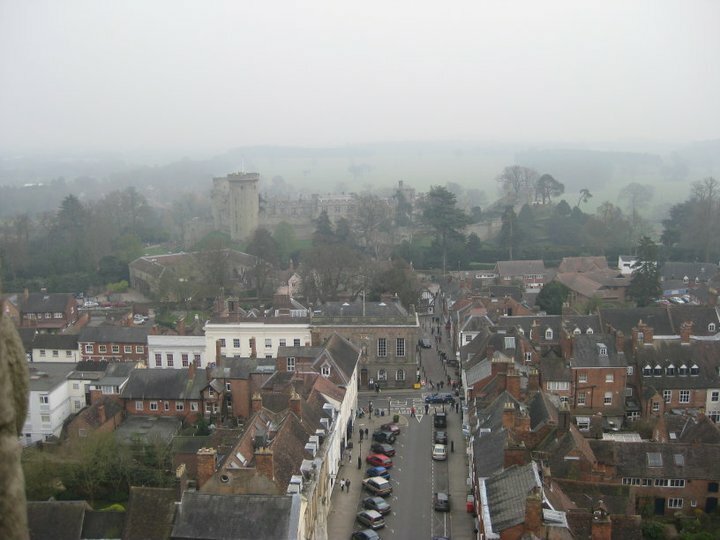 Though we basically did everything on offer in Warwick in a day, it was a really nice place to visit and the castle was really incredible. After a breakfast of homemade pancakes we headed to Stratford-upon-Avon, the home of Shakespeare! 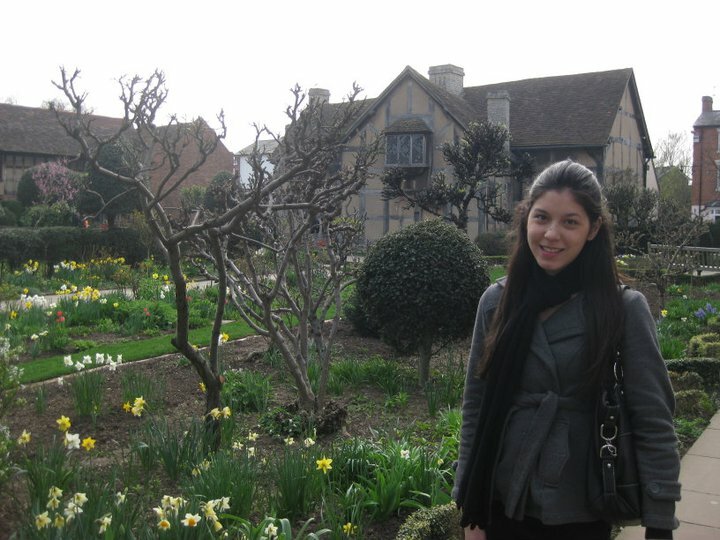 We visited Shakespeare’s Birthplace, Nash’s House, the site of New Place and Hall’s Croft. We also saw the outside of Anne Hathaway’s Cottage (Shakespeare’s wife, not the actress) and Mary Arden’s. 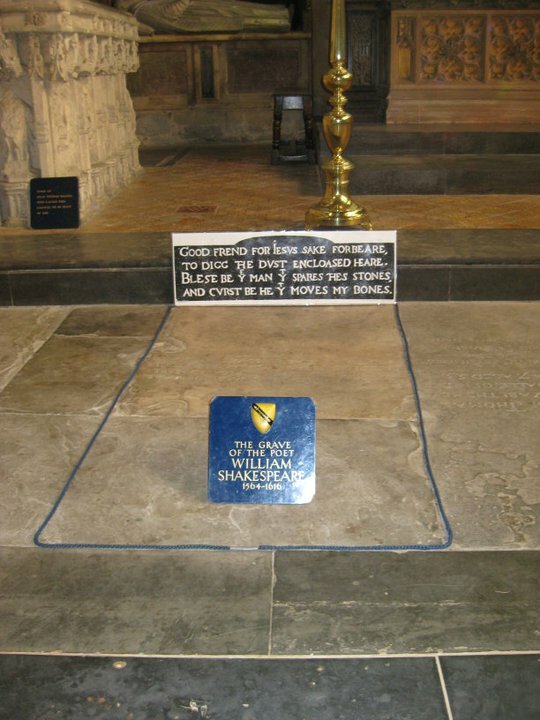 Our final location was fittingly Shakespeare’s Grave. Pretty incredible to visit locations where the great playwright himself once lived. 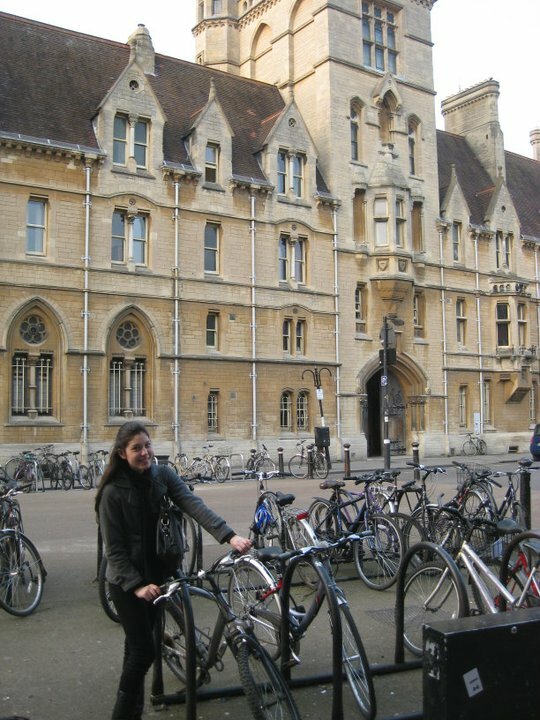 Our final place of interest was Oxford. There were bikes everywhere, potentially more bikes than people, and around every corner was a place where Lewis Carroll, C.S. 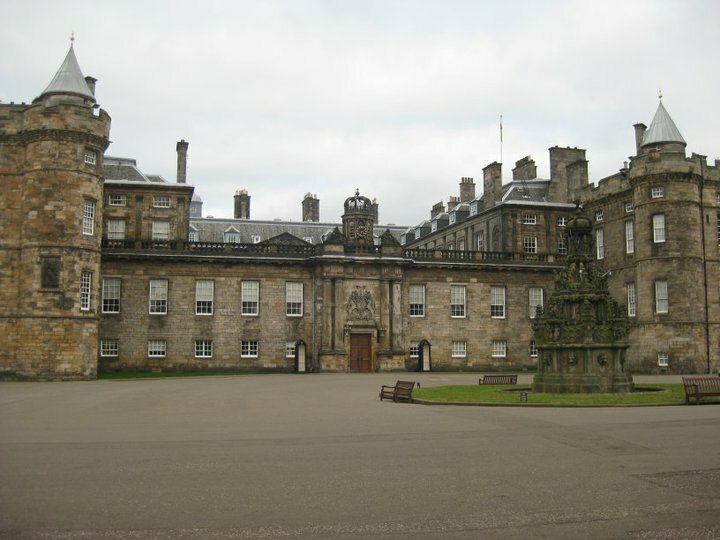 Lewis, J.R. Tolkien or one of many Prime Ministers and Presidents had studied, lived and socialised. 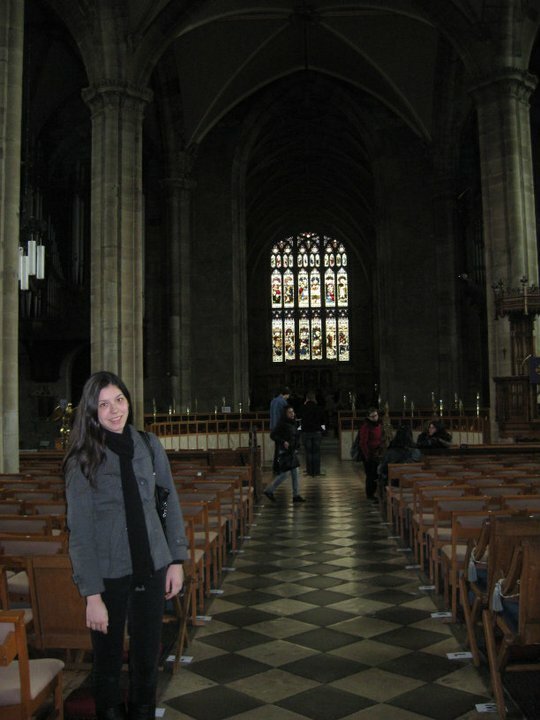 We went into Christ Church, an amazing college with the Dining Hall used in the filming of Harry Potter. 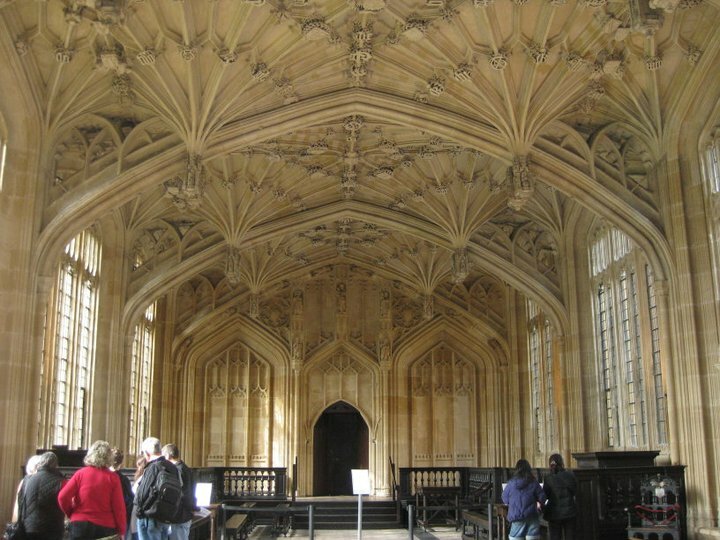 We also visited part of the Bodleian Library, the biggest library in the world and the oldest lecture hall, the Divinity School, where scholars used to stand on a podium and argue their thesis before the days of mass produced paper. 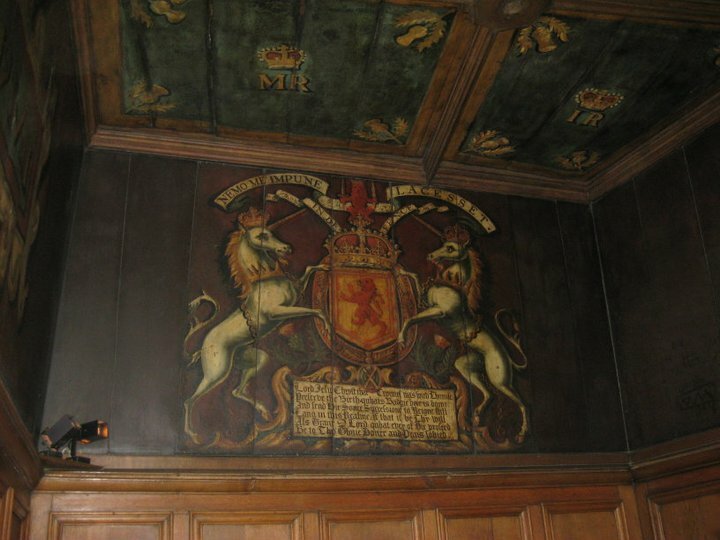 This lecture room was also the hospital wing in Harry Potter. We visited “Alice’s Shop” where the young Alice Liddell, the inspiration for Alice in Wonderland, used to buy her barley sweets. It was so cut and I’ve never seen so much beautiful Alice, White Rabbit and Mad Hatter merchandise. It was so hard not to buy everything on display! 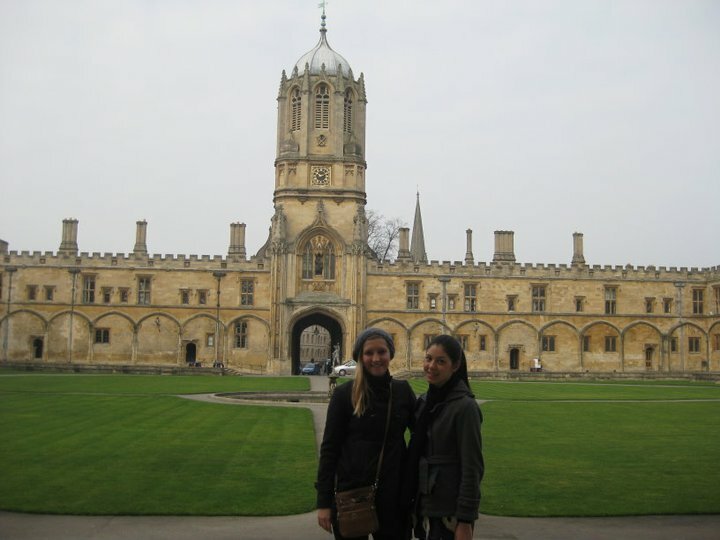 We walked around most of the colleges, visited Oxford Park where we ate pancakes and watch some cricket and bought the obligatory Oxford t-shirts. I had such an amazing weekend and now it’s down to a huge week performing in four dance concerts. The Leeds University Union Dance Show is a huge production with performances from all 15 or so dance clubs. Somewhere in between all those concerts I need to get cracking on my essays before we head off to Spain on Sunday! For anyone who doesn’t understand the title of this post, it’s from Pride and Prejudice. But we’ll get to the relevance of Jane Austen soon. True to form, we’ve had an epic few days here in Leeds. Just to reassure QUT, I am actually getting some uni work done over here. I promise! Now back to the more exciting stories about student life and travelling. Last Thursday was St Patrick’s day. 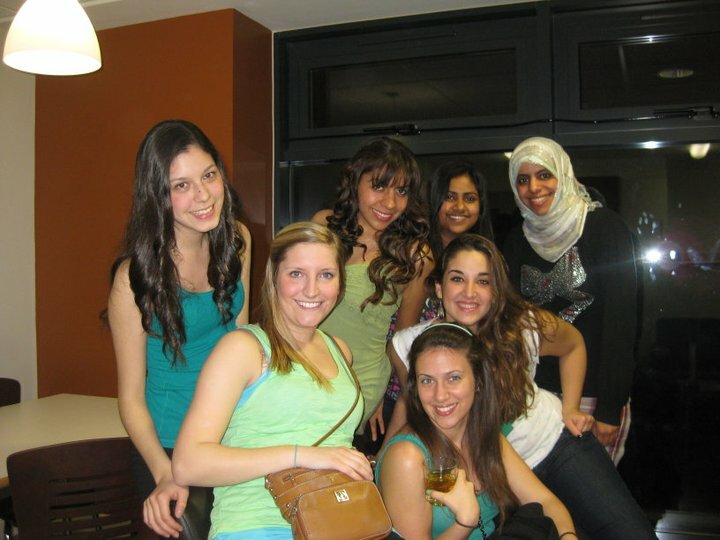 My hall mates and I had a great time dressing up in green and dancing up a storm. On Friday, it was Andrea and Chris’ cartoon themed birthday. There were some pretty amazing costumes including the Flinstones, various superheros, Disney characters, etc. Christina, Malorie and I went as the Powerpuff Girls. 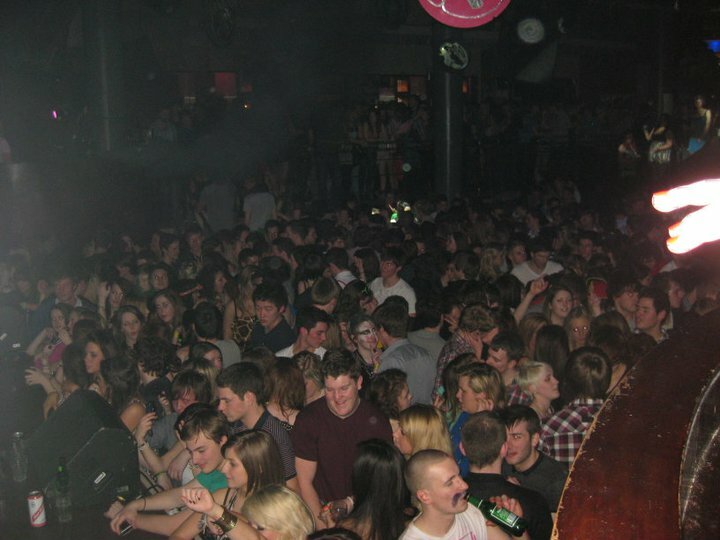 We then continued onto Fruity, the best Friday night destination on campus hands down. Saturday, it was off to Bath. 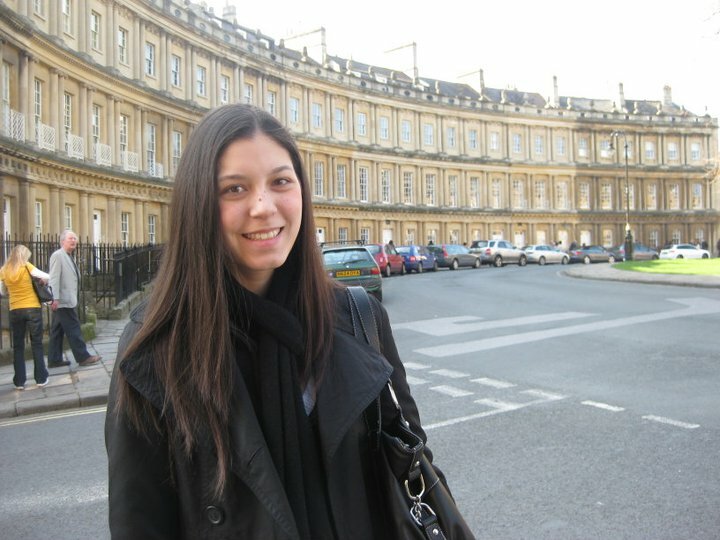 All my friends that had been before could not stop raving about how beautiful it is in Bath. But you really have to experience it first hand to understand just how gorgeous it is! 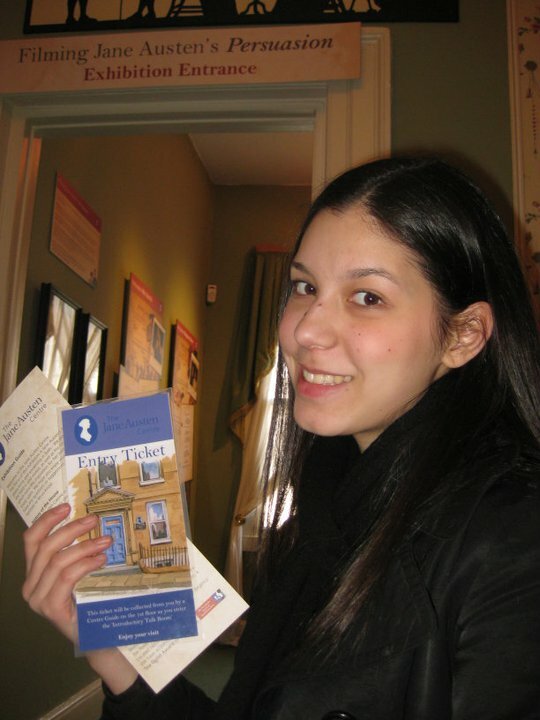 We started off with a visit to the Jane Austen Centre where we learnt a lot about Jane Austen’s life, family and books. As Austen fans, Christina and I got really excited about seeing the places she lived and even the gift shop, with every Jane Austen souvenir you could ever want! 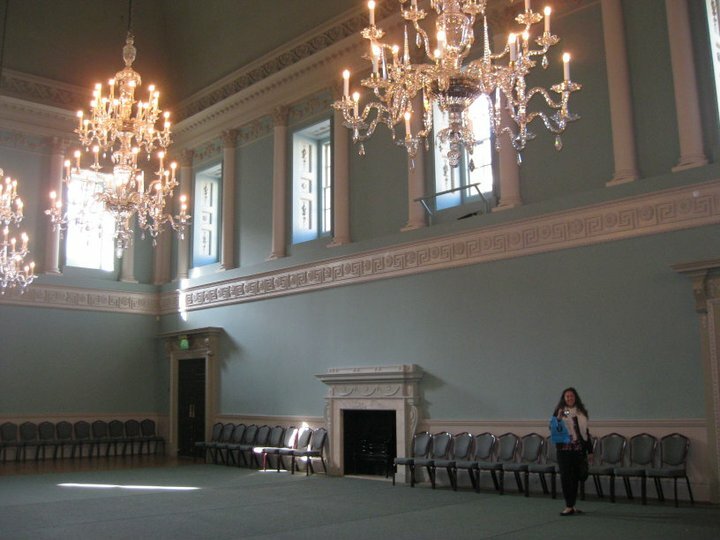 We followed this with a visit to the Assembly Rooms, where the upper class went to socialise in Austen’s day. 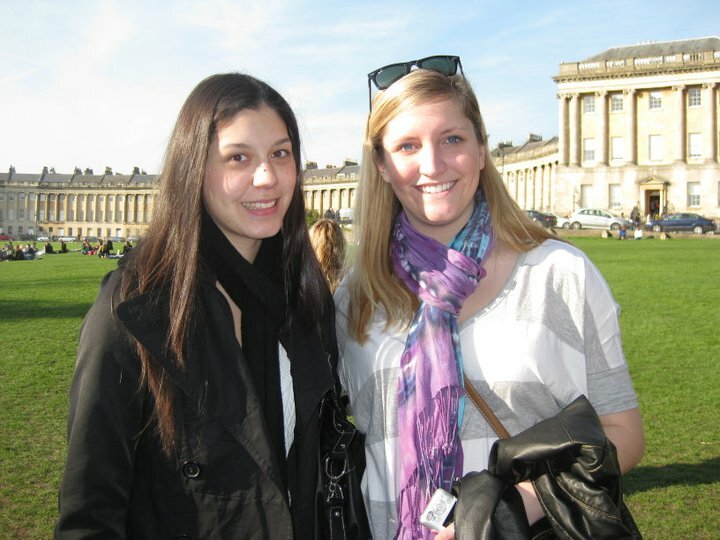 Then it was time for our walking tour of Bath including the Roman Baths, Bath Abbey, the Royal Crescent and the Circus. I have decided I need to become a squillionaire so that, one day, I can buy a holiday house in Bath. 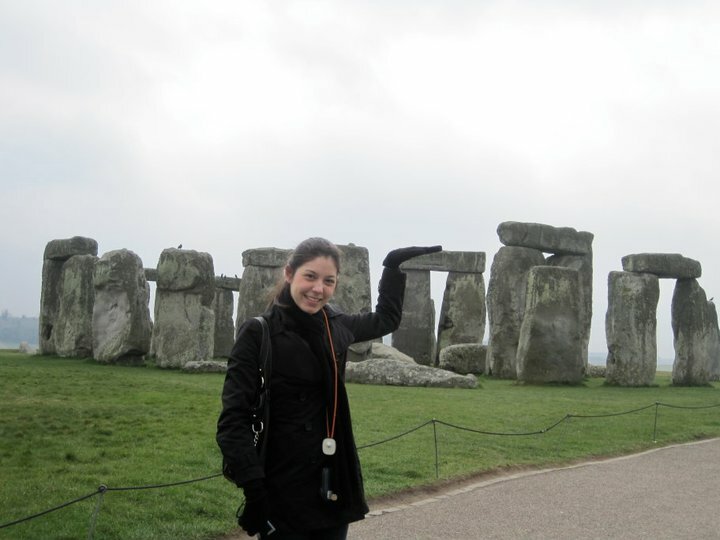 On Sunday we made our way to Stonehenge. 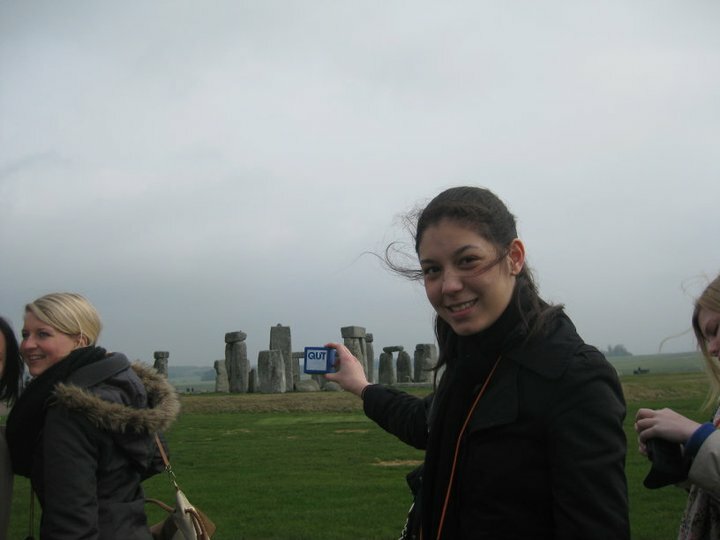 We had these great audio guides that shared a lot of the history on the area but also gave us some of the weird theories on how Stonehenge came to be. 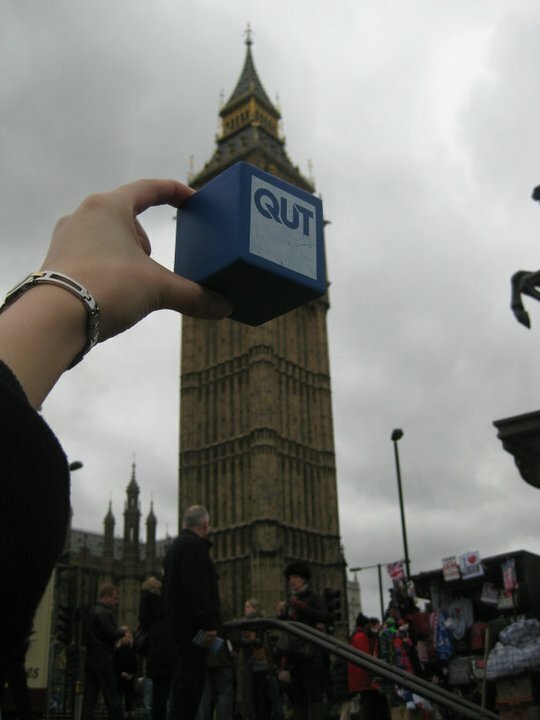 I also enjoyed trying to make my QUT cube work into a photo of Stonehenge. I had the cube sitting on top but it looked like it was a UFO crushing Stonehenge, I think the one I’ve put here looks much better!! 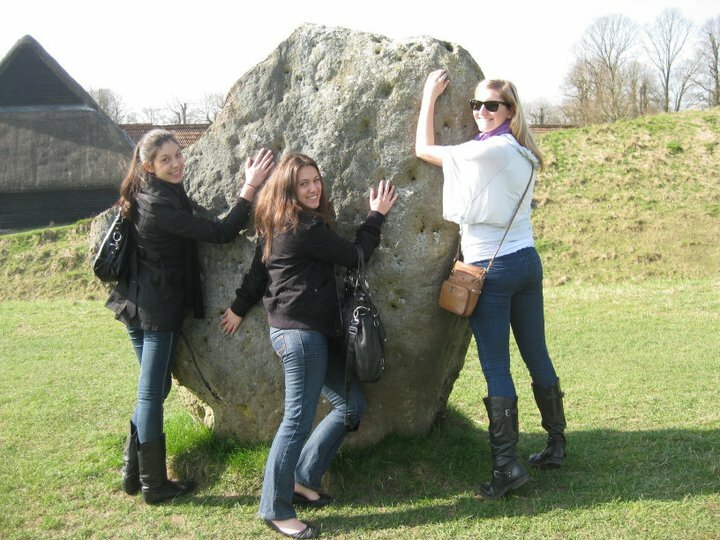 We continued on to Avebury, the oldest stone circle in Britain and got to hug and pose with the rocks. 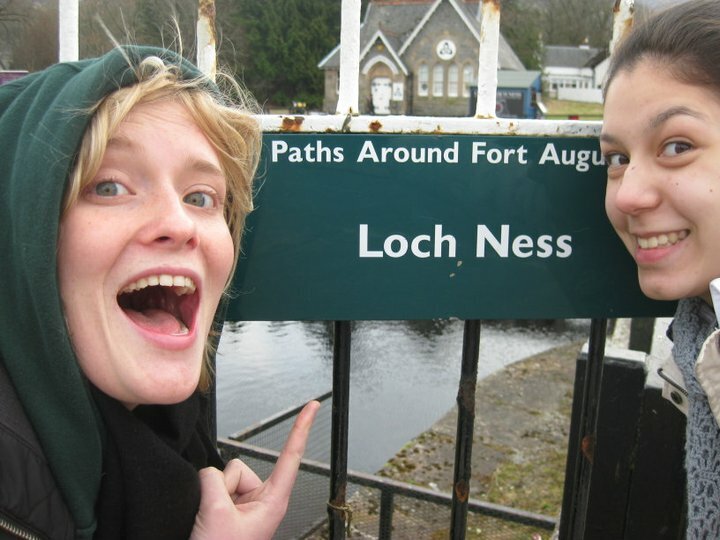 Our inner five year olds got the better of us and before long everyone was climbing on the rocks. It was so much fun! So yet another amazing weekend. Now it’s back to that study that I was talking about. I have already got the feedback for a “practice essay” I wrote for Journalism Ethics and I’m waiting to get my feedback for our innovation poster and portfolio from last week. There is a statistics “practice exam” on Wednesday and eight weeks of content to revise. Lucky it’s a practice and I’ll know it all by the real exam! 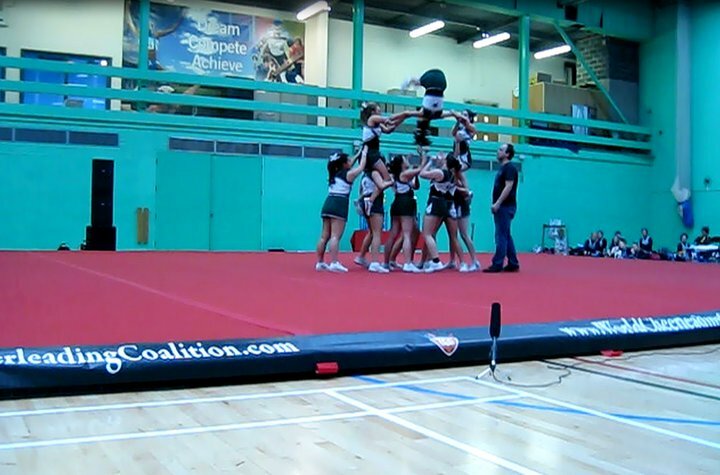 About three weeks ago, I contacted the captain of the cheerleading squad here at Leeds Uni. I’d been doing competitive cheerleading for two years back in Brisbane with Q Cheer and was suffering from severe withdrawal. 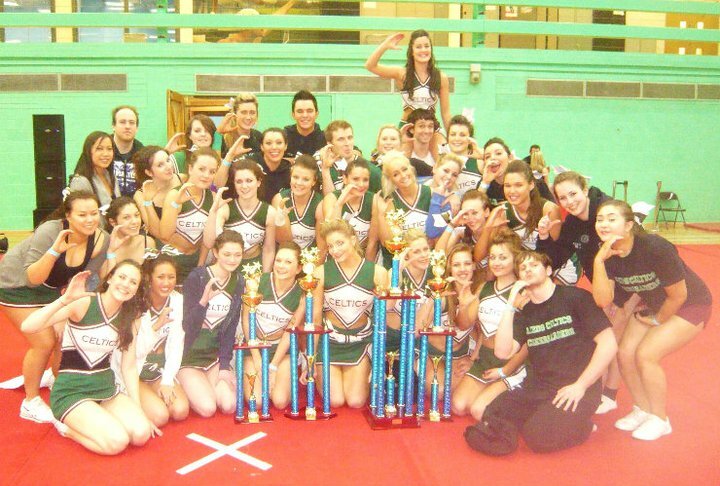 Anyone that has done cheerleading can tell you just how much is involved. It takes a lot of athleticism, includes elements of gymnastics, dance and acrobatics and is highly addictive. 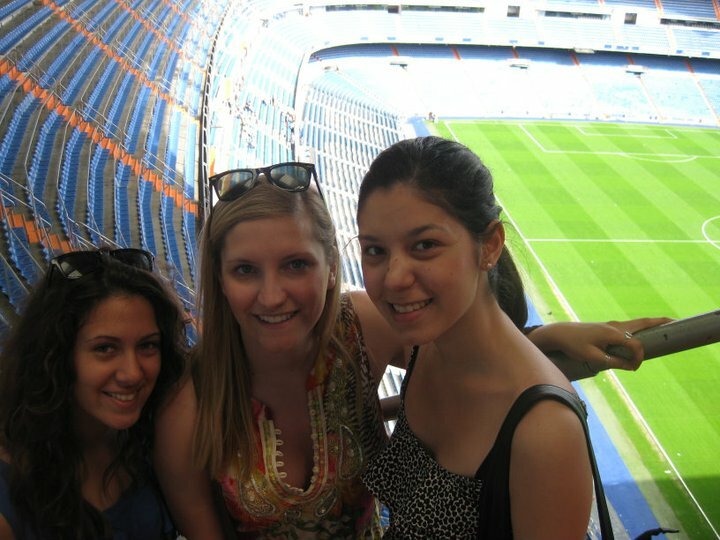 My friend Chloe came and joined the Leeds Celtics when she was on exchange last year and spoke so highly of the team. I really wanted to just go along to one of their trainings, do a warm up, watch them stunt and maybe stunt a bit myself. A few days later, they told me they were putting together an “All Girl” squad for the upcoming University Nationals competition. I was invited to join the squad, jumped at the chance and got into the trainings a few days later. Over the course of just two weeks, we managed to pull together a routine that would normally take months. Not only had I never met anyone on the team, but half the group were from the Pom squad and had never stunted before in their lives. 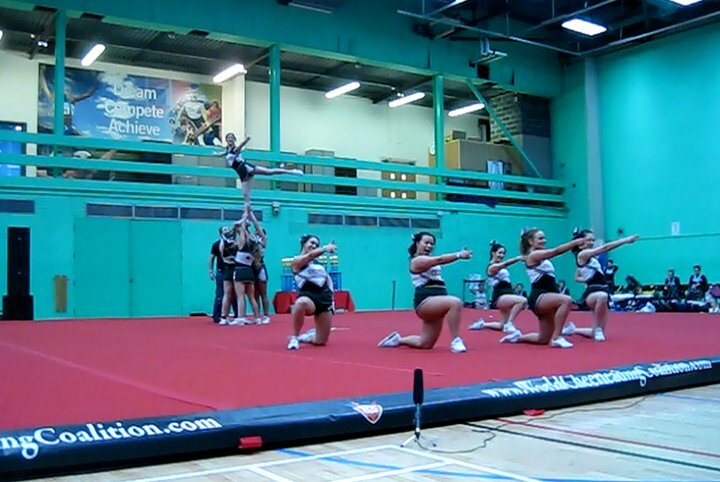 That we learnt the whole thing in five trainings is amazing enough, but the fact that we pulled off a near perfect routine at the competition is just incredible! 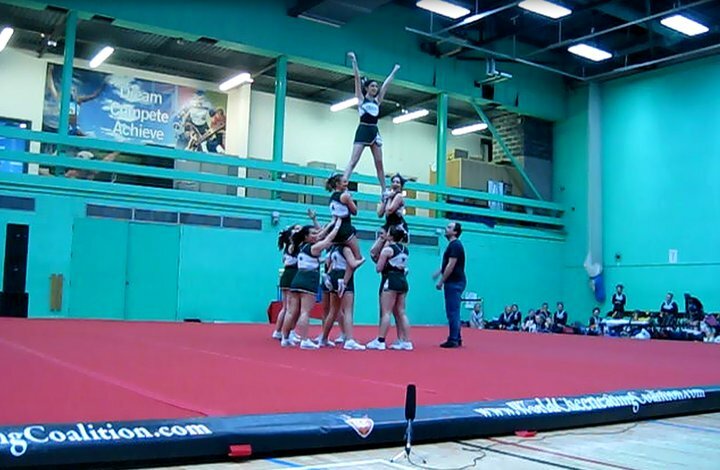 The University Nationals competition was so much fun and gave us the chance to watch all the teams from unis across the UK. 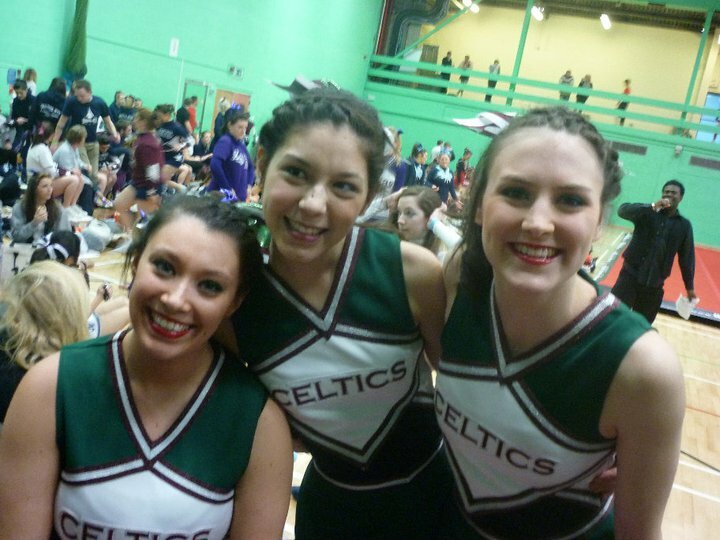 I had the best time hanging out with all my new found cheer friends and was so excited just to be in a Leeds Celtics uniform. 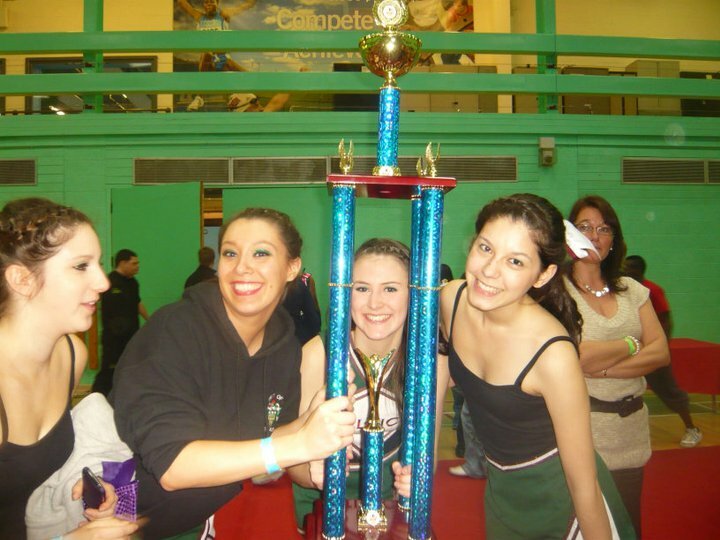 At the end of the day, Leeds Celtics were named GRAND CHAMPIONS!! This prize was the result of all the points from the Co-ed team, the All Girl team, the Co-ed group stunt, All Girl group stunt and Hip Hop team. Even though we only trained together for two weeks, I feel such an attachment to all the amazing people in the team and I’m really sad that it was all over so quickly. I am incredibly proud of what we achieved and it was such an honour to be a part of the Celtics… THE BEST UNIVERSITY SQUAD IN THE UK!!! 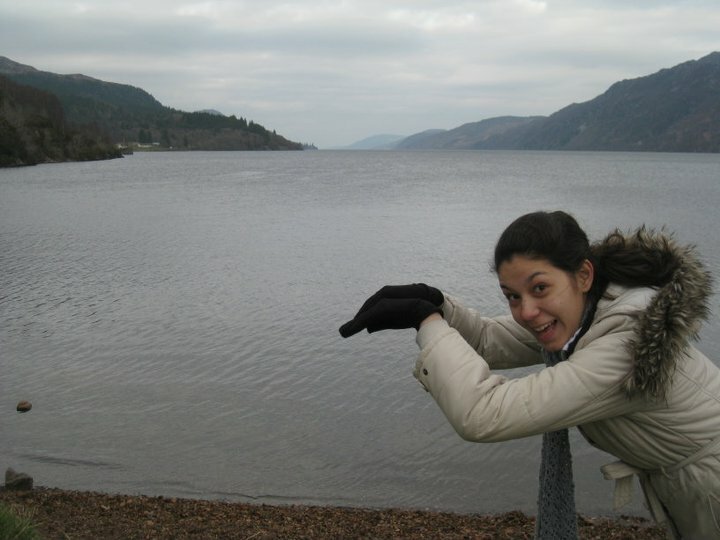 So, last weekend I went back to Scotland to visit my amazing friend Dom! 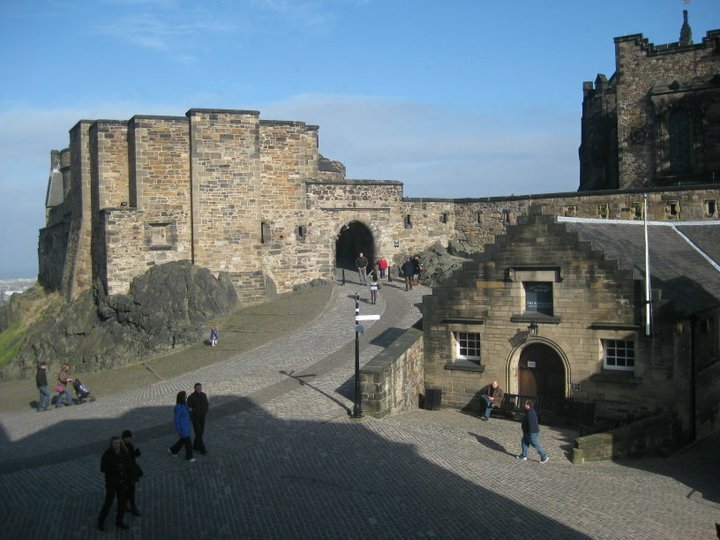 On Saturday, we did the typical tourist day in Edinburgh, starting off at Edinburgh castle. It’s quite cool because it’s not really one building. Inside the main castle walls, it’s more like a little village with separate buildings. It was pretty incredible seeing the Honours of Scotland (the Scottish crown jewels) and the family tree complete with Macbeth! Not going to lie, we had a huge Shakespeare nerd moment taking photos of that. 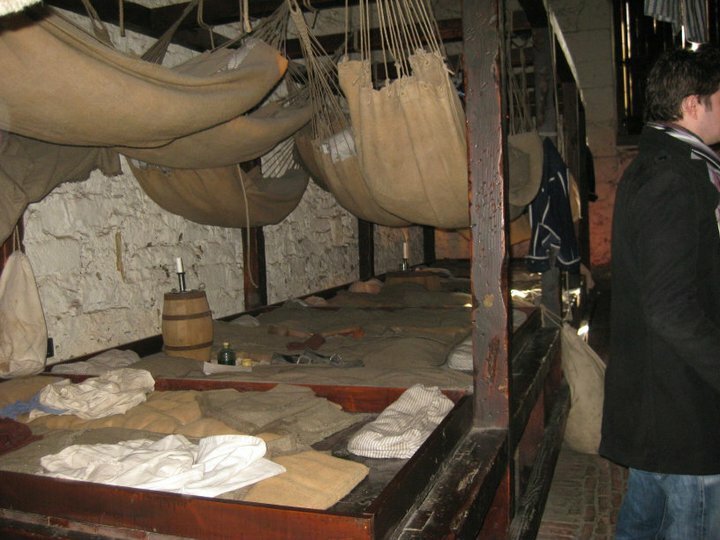 We saw inside the dining hall, the living quarters and even the vaults where they kept prisoners of war. We then continued along the Royal Mile, though Dom commented that it should really be dubbed the Tourist Mile for the sheer number of souvenir shops. We took a detour, as self-professed Harry Potter nerds, to Greyfriars Graveyard where J.K.Rowling got the inspiration for a lot of the character names. We saw the headstones of McGonagall, Baird, Moodie and Tom Riddell (who most people know as Voldemort) We also saw the school that inspired Hogwarts with four towers being the idea behind the four houses. After returning to the Muggle world, we headed to Grassmarket where there were heaps of cool stores and nice little places to hang out. 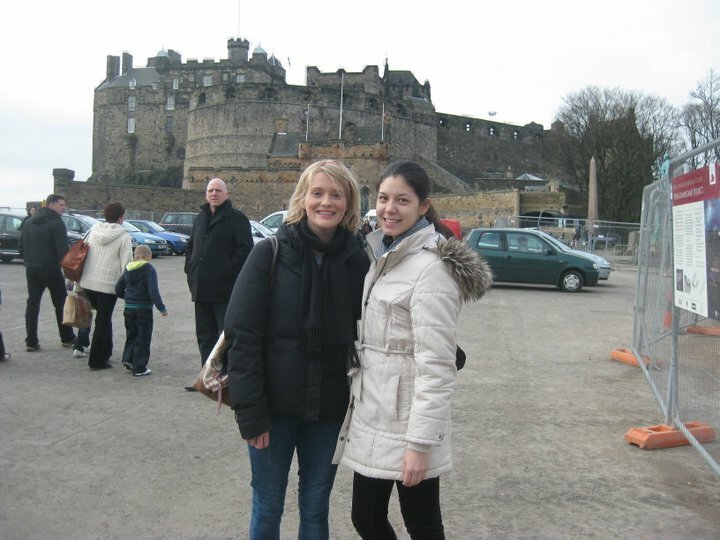 If we had had more time, we would’ve had a proper look around but we were tourists on a mission to conquer Edinburgh! 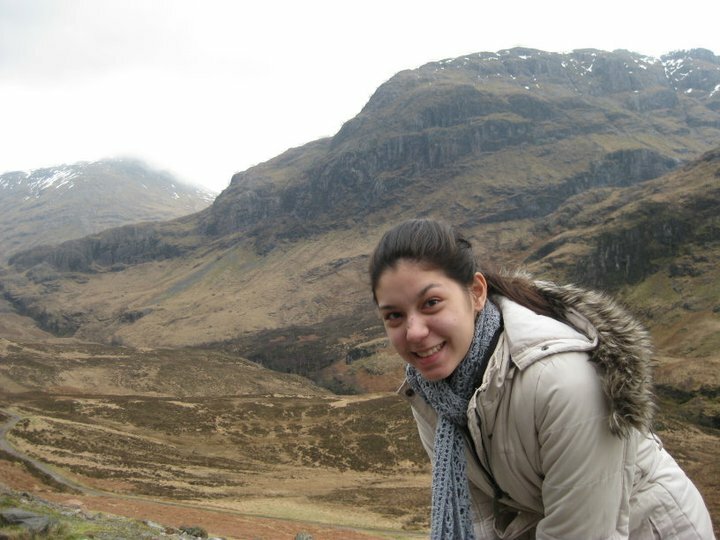 I had such an incredible weekend and just fell in love with Scotland all over again. Thanks to all the busking bagpipers and historical impersonators without whom my experience would not have been complete. 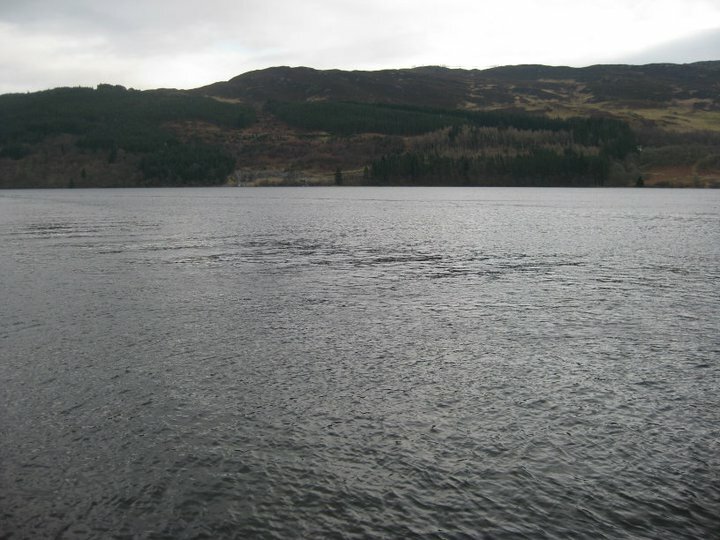 We didn’t manage to catch a glimpse of Nessie the Loch Ness Monster but the dream is still alive! 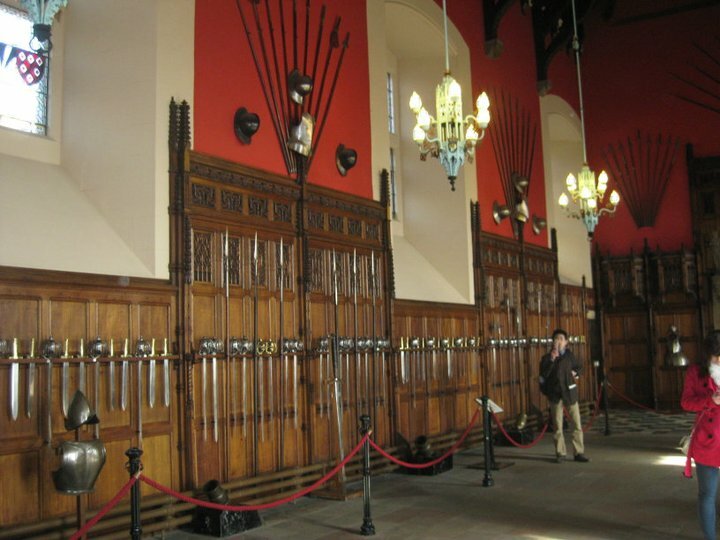 This weekend, I went to Edinburgh for ScotMUN. 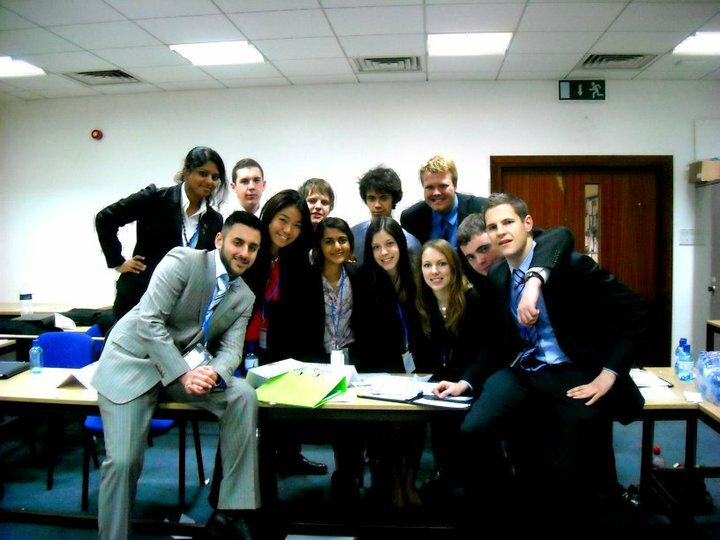 In case anyone hasn’t read the other blogs, this was the Scottish Model United Nations and I was the delegate for Grenada on the Historical Security Council. The council was set back in October 1983 when the US invaded Grenada!! Now we’ll go back to the beginning. On Friday, I arrived in Edinburgh early in the afternoon and was met at the station by my old Brisbane school friend Dom, who is studying in Edinburgh! It was so amazing to see her again for the first time since year nine. 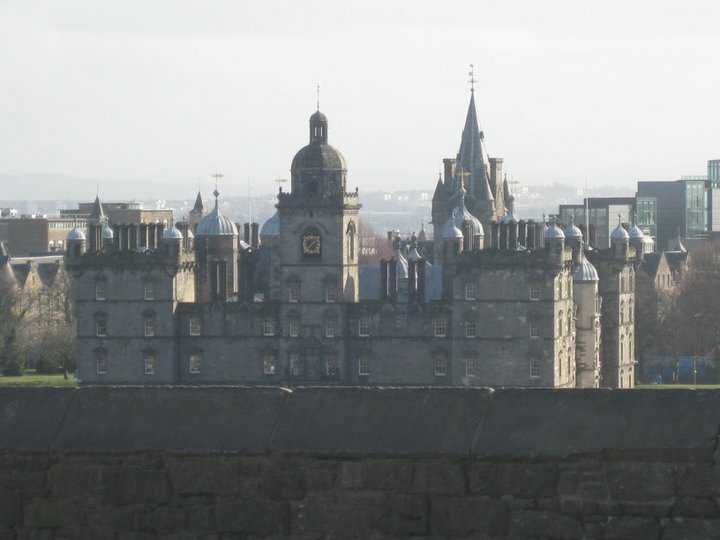 Walking through Edinburgh, you can only marvel at the old stone buildings, Edinburgh castle and the statues that seem to be on every street corner. Before I continue, I have to profess myself as a bit of a Harry Potter nerd. Make your judgements and then continue reading. 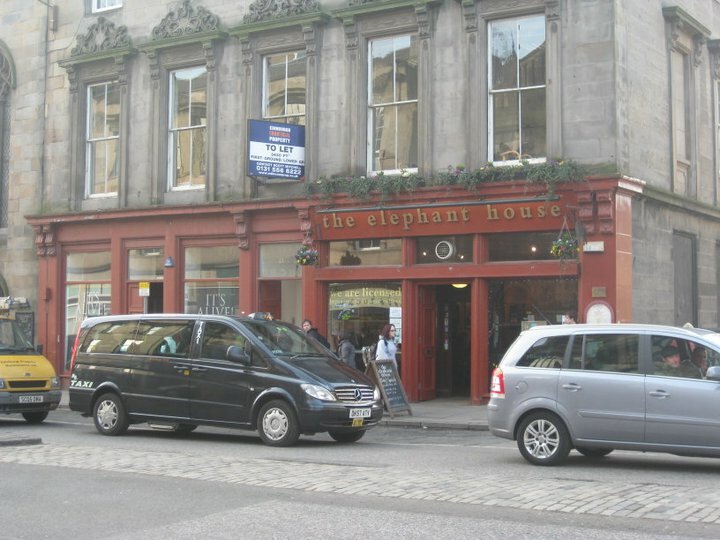 As we headed towards Edinburgh University, we walked past a café called The Elephant House. 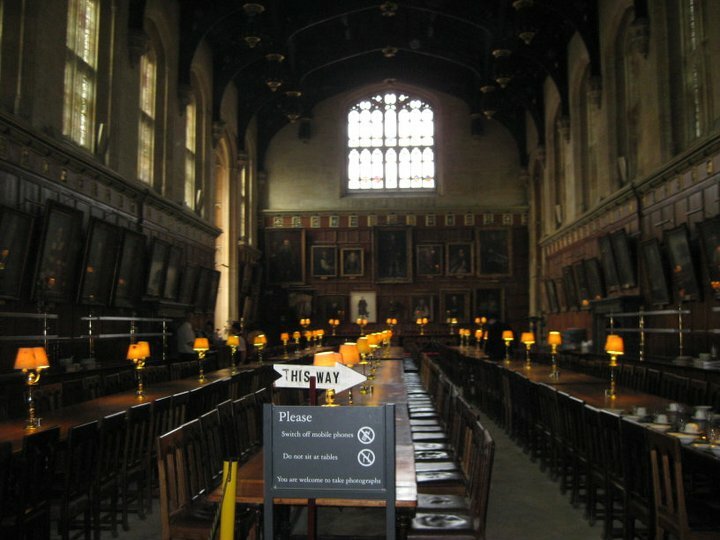 This is the café where J.K.Rowling wrote a lot of Harry Potter. Then we walked by Greyfriars Graveyard, where she got the inspiration for a lot of the characters in the books. 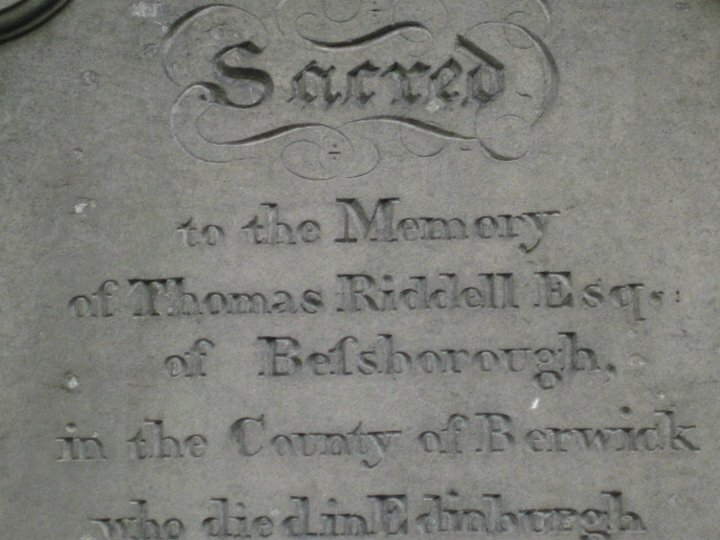 Yes, you can actually visit Tom Riddle’s grave!!! There is also a road near the uni called Potter Row (no need for elaboration). 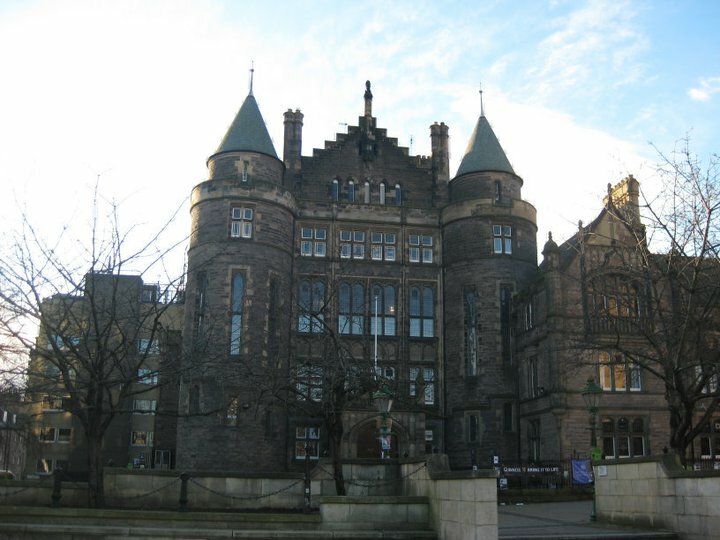 Then, once I had finished marvelling at the endless Harry Potter related sites in the immediate vicinity, I headed to ScotMUN registration. Here I got my name tag, folder, guide, notepad, pen and all important placard. 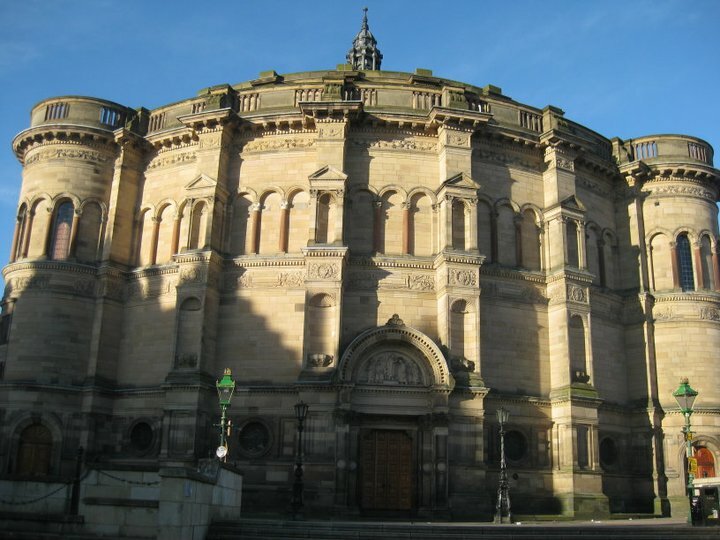 Notably, I was actually representing QUT at this conference so Australia did get mentioned in the guide (be very proud) At this point, I’d like to state the University of Edinburgh is beautiful! Here’s a picture of the old Medical School, where we had our committee sessions. We then headed to Dom’s residents and one of her housemates was generous enough to let me borrow her room while she was away for the weekend. It was so lovely of them to be so hospitable and hopefully when they come to Leeds I’ll be able to return the favour! On Friday evening, I had the Opening Ceremony followed by welcome drinks in the student union (the oldest one in the UK). On Saturday we had our first committee sessions. As was expected, the USSR, China and Cuba were all supporting me and my communist state. The US were against us and everyone else fell somewhere in between. We made really great progress, including a presidential statement, and headed off for a committee dinner afterwards for a well-deserved meal. 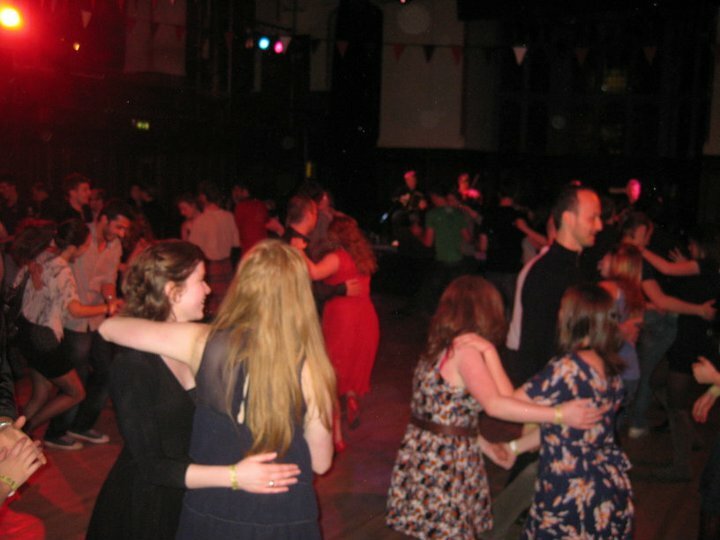 Then, it was back to the student union for the traditional Scottish Ceilidh! It was lots of highland dancing and we really didn’t understand the instructions from the band but it was so much fun and very cultural. Here are some photos of the dancing and another delegate, Leeanna, taking a break from all the hopping, skipping and twirling! Sunday then rolled around and a few of the delegates seemed rather “worse for wear”. I, on the other hand, was a little too enthusiastic, arriving at the uni half an hour early. 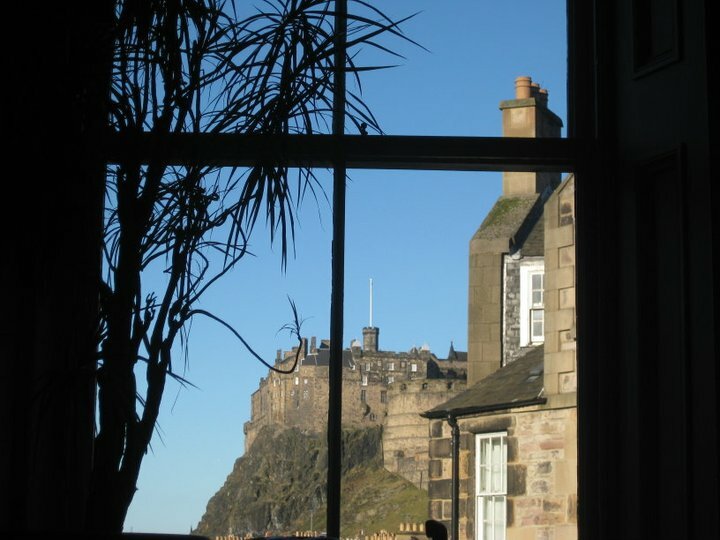 So I decided to go to The Elephant House and have a cup of tea looking at the view of Edinburgh Castle. I did not start writing a soon-to-be bestselling series about a boy wizard but maybe next week! Once committee started again, all the delegates were keen to start working towards a resolution. The committee came up with what I thought was a great resolution but, being the Security Council, the USSR and USA had the power to veto our resolution… which they did. Oh well, we sort of saw it coming and we did come very close. At the closing ceremony they announced honourable mentions for each committee as well as awarding best delegate… and… I won Best Delegate! YAY!! So as you can see I had a wonderful and very successful weekend in Edinburgh and I can’t wait to head back next weekend to be more of a tourist!! A lot has happened since I last posted. IT SNOWED! But that’s just one part. So I’ll go about this in chronological order. 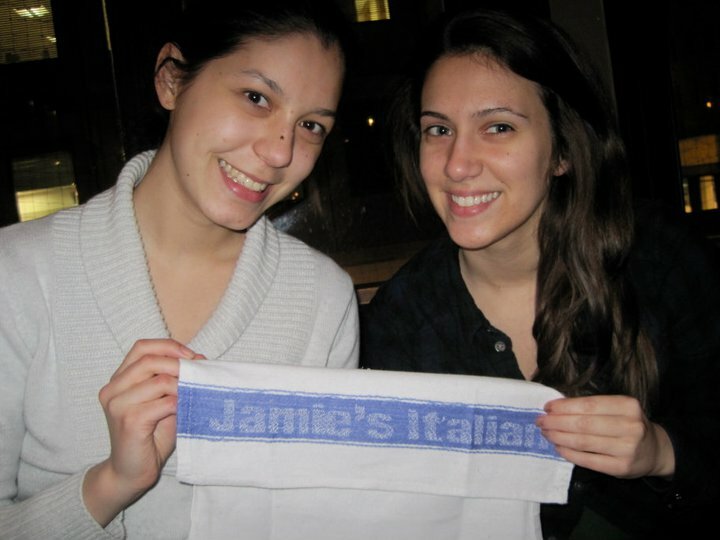 On Friday night we went to Jamie Oliver’s Italian restaurant here in Leeds. For the quality of food, it wasn’t that expensive, you’d pay more in Australia. More importantly, the desert was amazing and I can say I went to Jamie Oliver’s restaurant! 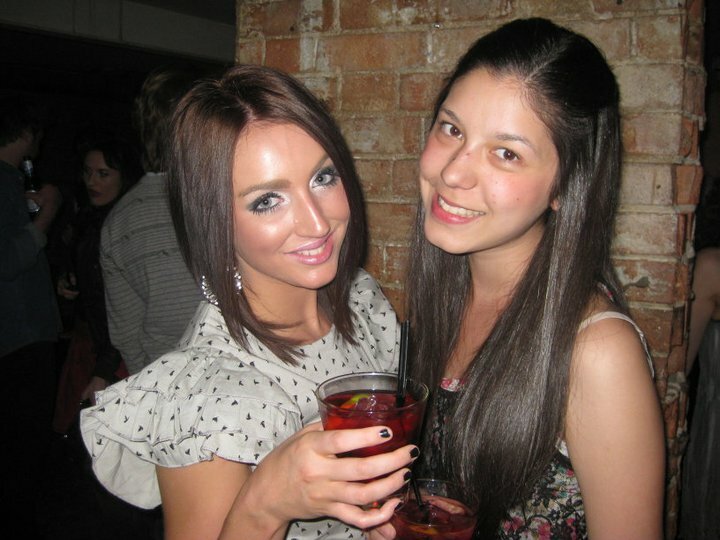 Afterwards we went to Fruity, the biggest student night out in Leeds. 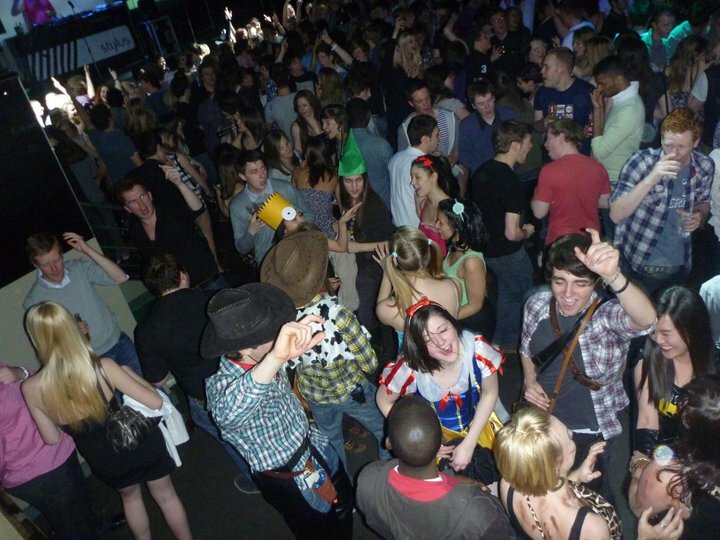 Fruity is every Friday in the Leeds University Union and they basically have all three clubs each playing different music. My favourite was the one that played S-Club, Spice Girls, the Friends theme, the Fresh Prince theme, Hanson, Michael Jackson and Backstreet Boys. As you can tell, I have quite discerning taste. Two people from the cast of “misfits” were also there… it’s like a British version of Heroes, where they all have weird superpowers. Fruity was so much fun and we’ll definitely be heading back in the coming weeks. 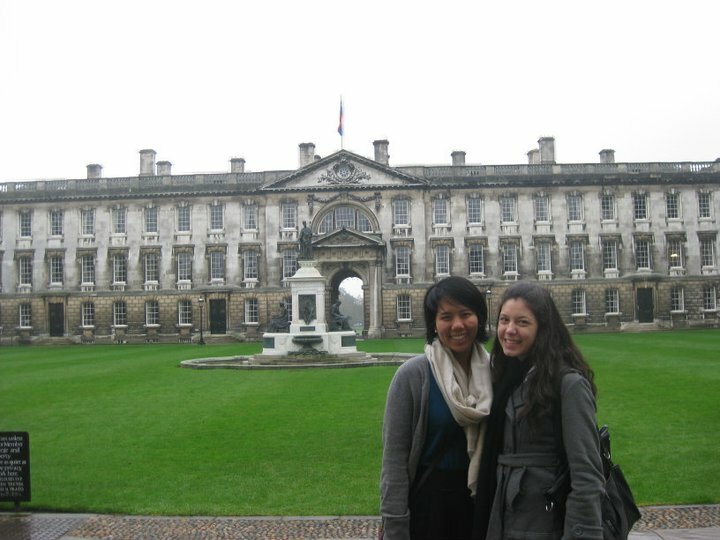 When we finally stopped acting like typical tourists in the snow, we boarded the bus to Cambridge. 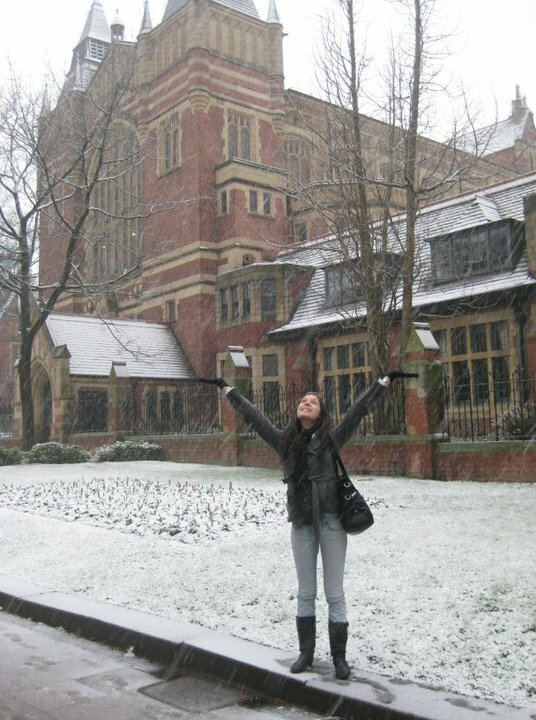 It took a few hours to get there but the university was just incredible! We were walking into building built in the thirteenth and fourteenth centuries and we saw the Cambridge University Press, King’s College, Trinity College and the Fitzwilliam Museum. You know a museum has an amazing collection when anything AD seems new! We saw a mummy, sarcophaguses, ancient Greek and Roman artifacts as well as paintings including the likes of Monet! It was very impressive. I also got to catch up with a friend who I hadn’t seen in 10 years who was studying at Cambridge so it was great to see her too. 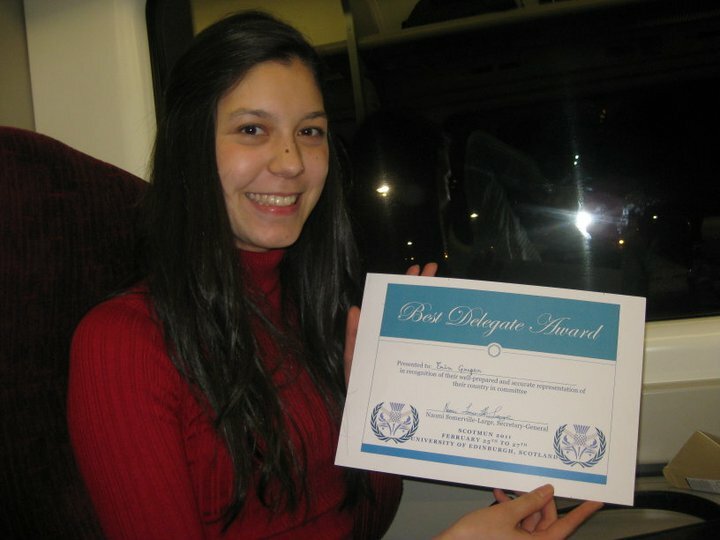 Since then I’ve just been doing some uni study but mostly research for this weekend’s Model United Nations in Edinburgh. I now know more about the 1983 US invasion of Grenada than I ever thought I would. I’ve also been doing lots of extra-curricular activities. I went to cheerleading training for two hours on Tuesday night, contemporary dance for an hour tonight and tomorrow I have a United Nations meeting and a jazz dance class. 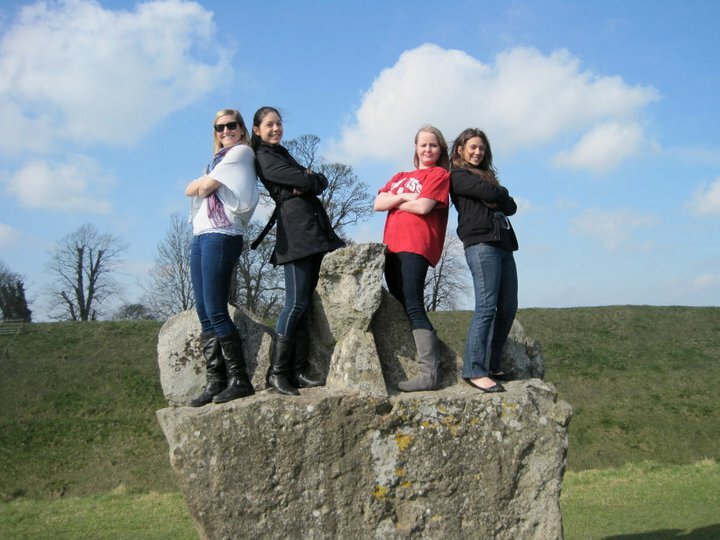 Joining these activities has allowed me to meet a lot more local students as well as opportunities to compete and travel around the UK so I would definitely recommend that all exchange students get involved in at least one activity. Well that’s everything for now. I’ll let you know how ScotMUN goes this weekend! Dear Trains… why do you hate me??? On Friday morning, I boarded a train that I thought was taking me to London where I was going to spend the weekend at the London International Model United Nations conference hosted by Imperial College. I had been warned about the cost of train travel and the value of booking tickets in advance online to save money. I had looked up Imperial College, booked myself into a hostel literally next door and worked out that my nearest train station was Gloucester Road. When booking my ticket online, there was no Gloucester Road option so, in my stupidity, I assumed the Gloucester station would be nearby…. For a quick lesson in UK geography, Gloucester is near the border of Wales! Something I was unaware of until I arrived there and realised I clearly was NOT in London. I felt so upset/annoyed/stupid and had to go up to the ticket booth practically in tears to work out how to get to London. I successfully turned a three hour journey from Leeds to London into an eight hour marathon via Woop Woop. To put the sheer magnitude of my stupidity into context for you, it’s like going from Brisbane to Sydney via Uluru. Once I got to London, I had already missed the opening ceremony and registration so I headed straight to the first committee session. 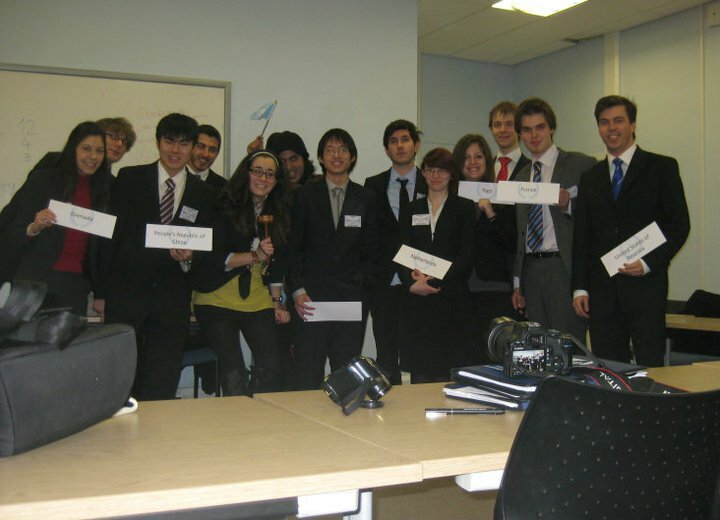 I was in the Iraqi Crisis Cabinet as the Minister of Foreign Affairs. I met some amazing people in committee and enjoyed conspiring to undermine stability in the entire Middle East region – fun times! A dam on the Syrian-Turkey border was bombed, then someone set fire to our Iraqi oil field, then Turkey invaded Northern Iraq’s Kurdish region so we declared a state of self-defence under Article 51, then we had a lull so decided to invade Syria and, subsequently, Iraq was invaded by Iran. Very realistic if you ask me! 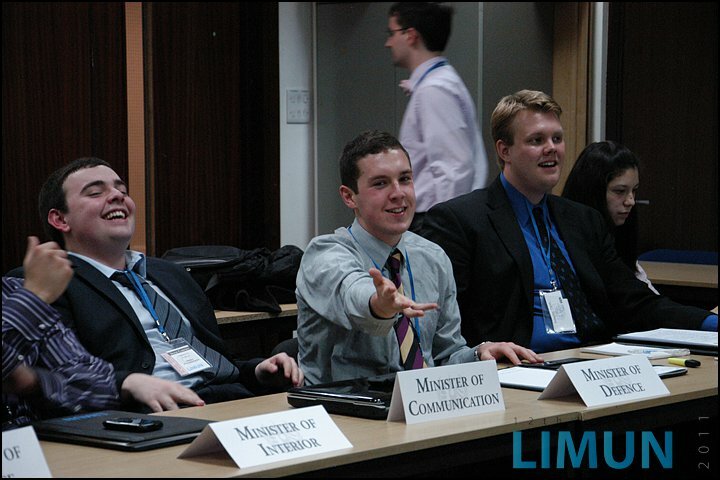 In the Iraqi Cabinet, I met one of the organisers of ScotMUN so – long story short – I’m off to Edinburgh in two weeks! YAY!! I’m really excited because I’ve been given a position on the Historical Security Council. Don’t want to give too much away but my country is going to get invaded! US vs. Grenada… time to brush up on my Cold War knowledge. Our Director/Prime Minister was Hiruni who I’d met at previous Model UN conferences in Australia so it was really great to catch up with her. The social events included a really good committee dinner on Friday night (Salmon…mmmmmmm) and a huge party at Tiger Tiger near Piccadilly Circus. Now back to the fact that the UK train system has a personal vendetta against me. On my way home I was delayed by two and a half hours!!! Didn’t arrive home till the early hours of this morning due to “engineering on the line”… so anyone coming for the 2012 Olympics better appreciate the fact that they’ll get a seamless journey because the 2011 travellers are suffering for it. Once I eventually got back I was so exhausted after what was a busy, crazy and, at times, frustrating weekend. At this point I could probably insert a very famous Tony Abbott quote… but I’ll restrain myself. 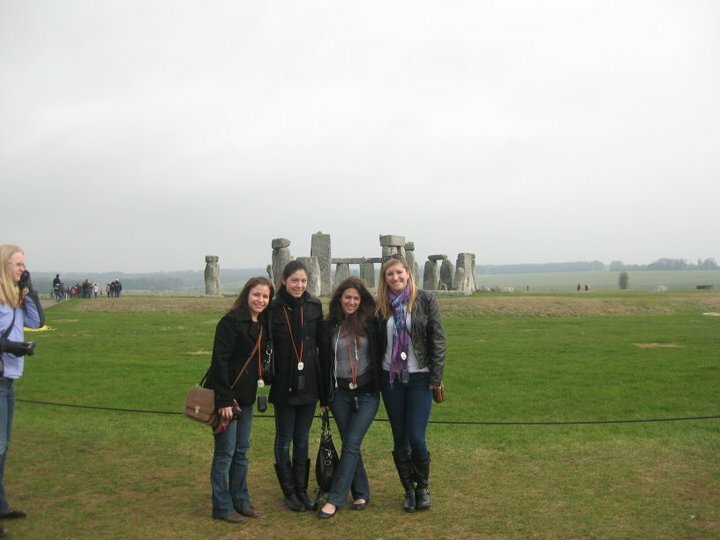 After spending the weekend in London, I am still buzzing from the excitement days later. It was just so incredible to see all those landmarks that have featured in movies, TV and magazines up close and personal. Some were bigger than I had imagined, others were smaller but everything was breathtaking. We left Leeds on Saturday morning and arrived in London around lunch time. Myself, Georgia, Malorie and Christina had booked tickets to the matinee session of “We Will Rock You” on West End, so we headed there soon after arriving. The show was amazing and completely reignited my love for Queen songs. I’ve had Bohemian Rhapsody stuck in my head for 4 days… it’s great! Then we went to Chinatown for dinner because it was Chinese New Year. It was nice to have non-refectory food for once – as much as I love the refectory – I appreciated the change. 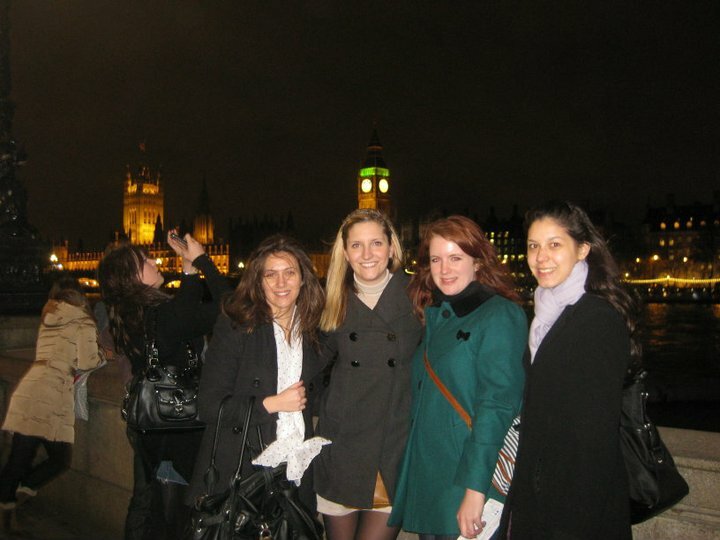 Later on we headed to a pub near Trafalgar Square and then out to a club in Camden Town. 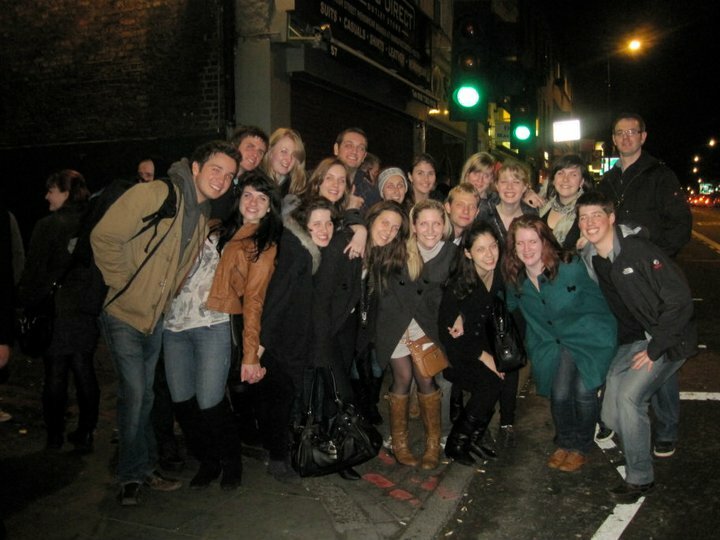 It was so much fun partying with the whole tour group and getting to know new friends from around the world. Here in Leeds, I’ve successfully conquered my two and a half weeks of classes. There were a few hiccups like learning that ground floor and first floor are not interchangeable here, forgetting a calculator for a statistics class (dumb) and walking to the opposite end of campus only to realise the building I was after was next door to my residence. One thing that’s really different is fewer contact hours but you are expected to do a lot more reading and independent study. You only have tutorials (or seminars, as they’re called here) every second week. For most subjects here, I have one 100% assessment in mid-late May. These generally seem to be a 3000 word essay or 2 hour exam. Some of them have smaller assessments, like presentations or posters, but these are rare and mostly unassessed. 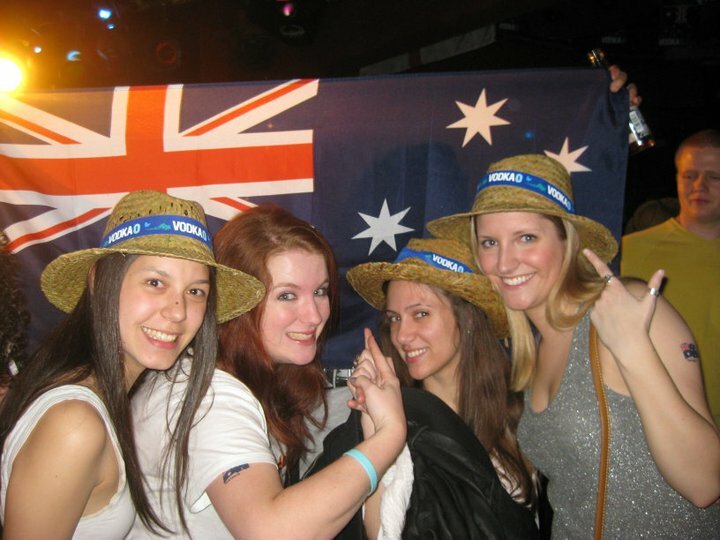 Now last time, I promised to tell you about our Australia Day adventures! Well we had a great day and celebrated despite the cold. There was no beach cricket or barbeques in the park but we did make our vegemite and cheese scrolls and fairy bread for our UK, American and Canadian friends. We then ventured down to the Walkabout Inn which was full of Australians and wannabe Australians. However, as soon as an Australian song came on you could very quickly work out who was faking it. If you don’t know the words to Men at Work’s “Land Down Under” then you’re clearly not Australian. There were so many Australian flags and wallaby jerseys, it was very comforting. Well that’s it from me for now. I’m going to hit the books again before heading back to London this weekend for the London International Model United Nations – I’ll keep you posted!